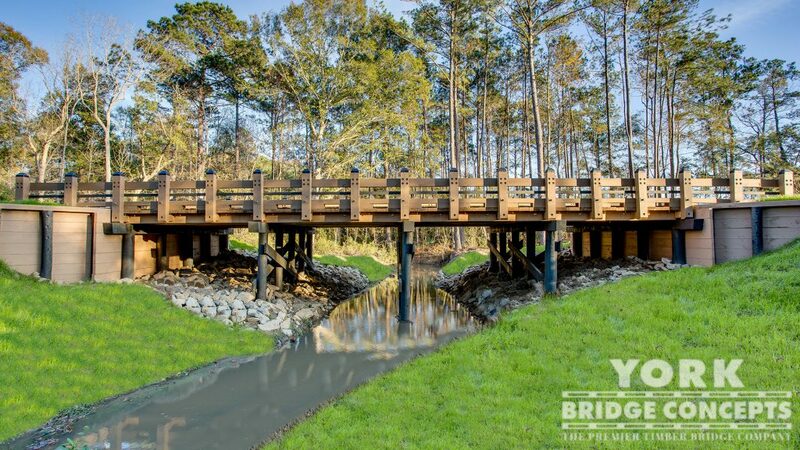 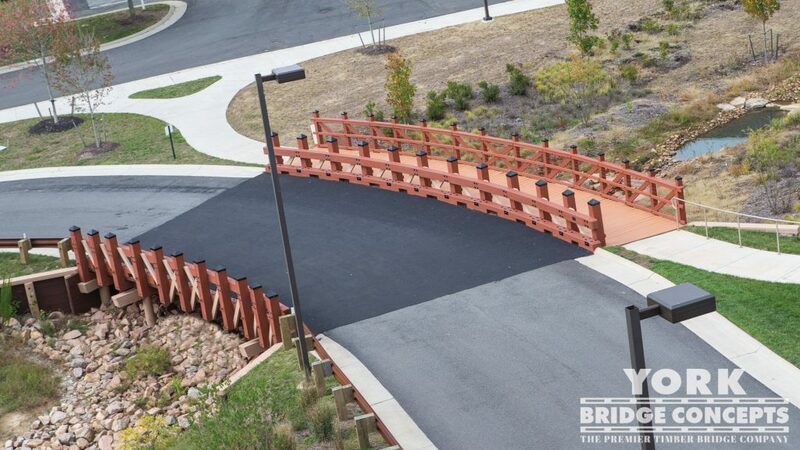 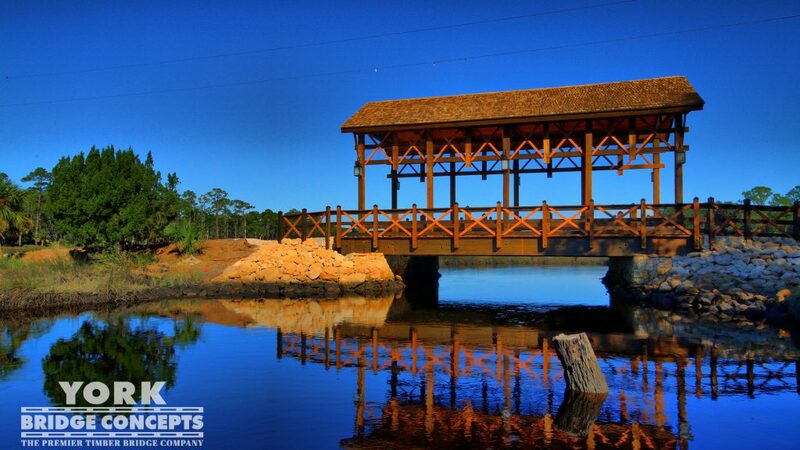 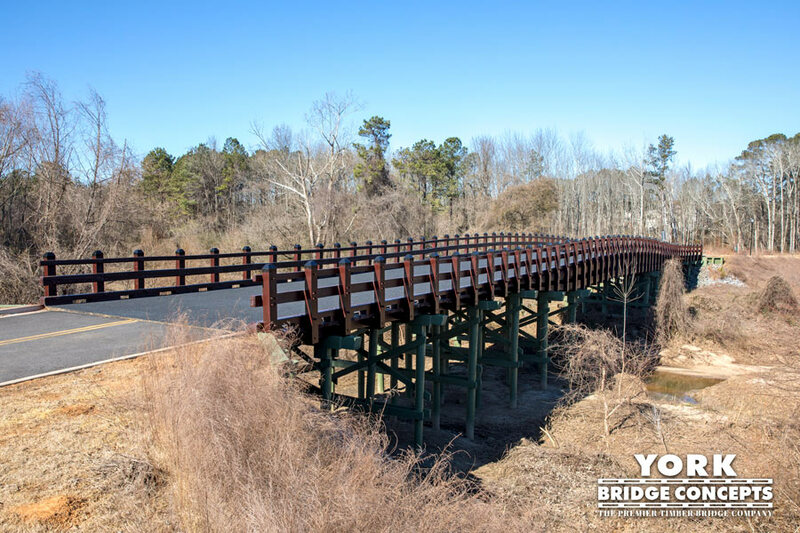 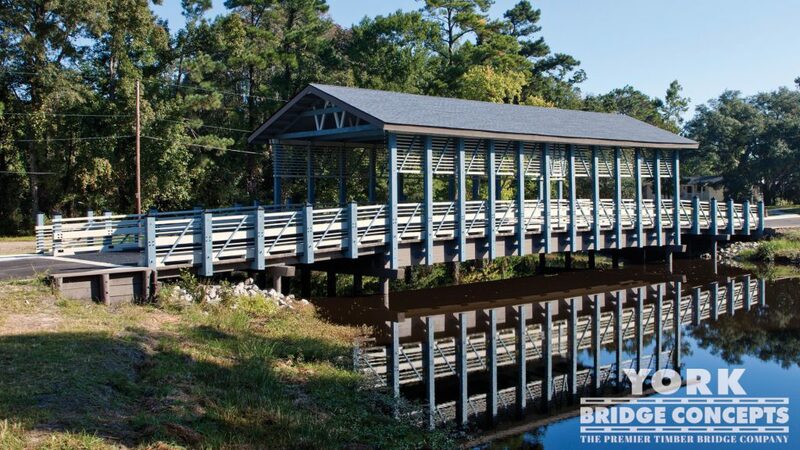 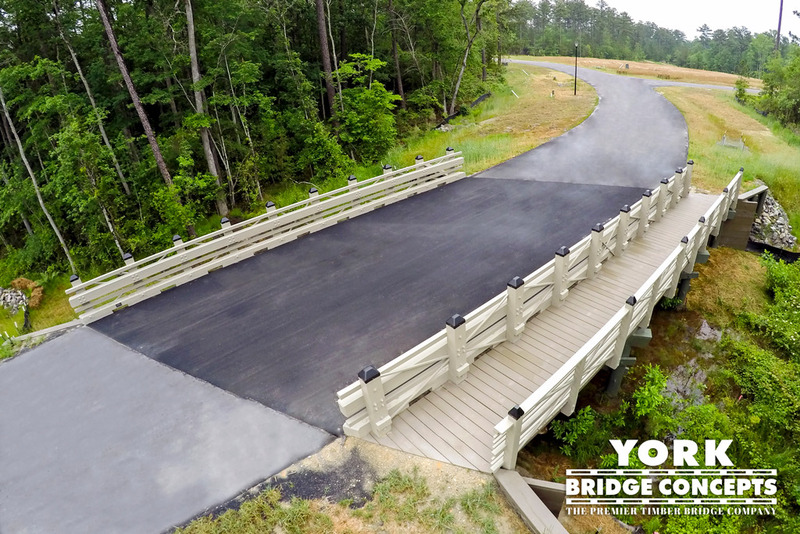 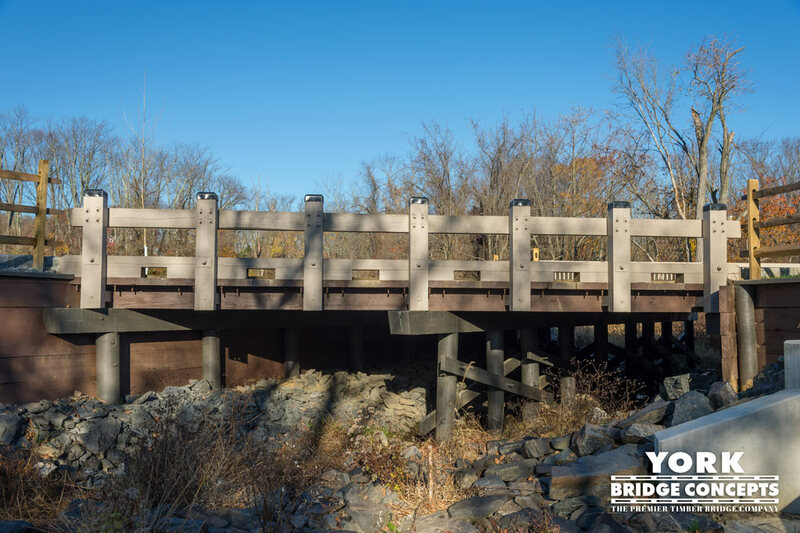 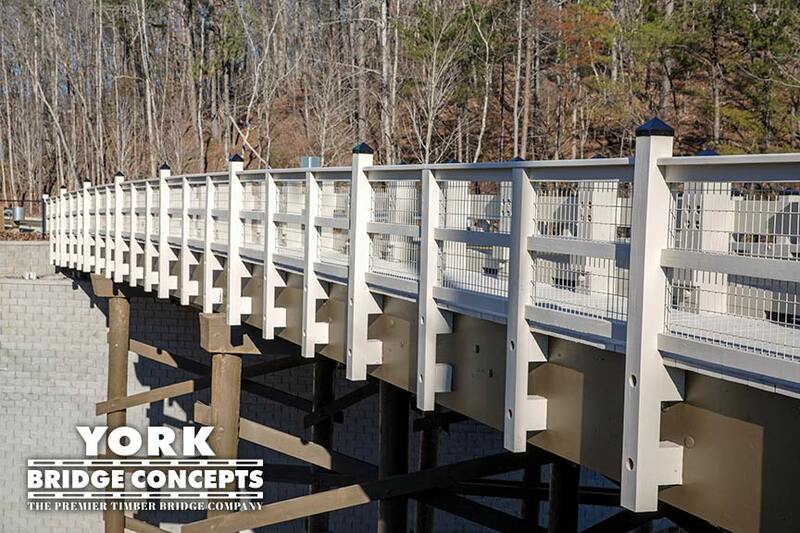 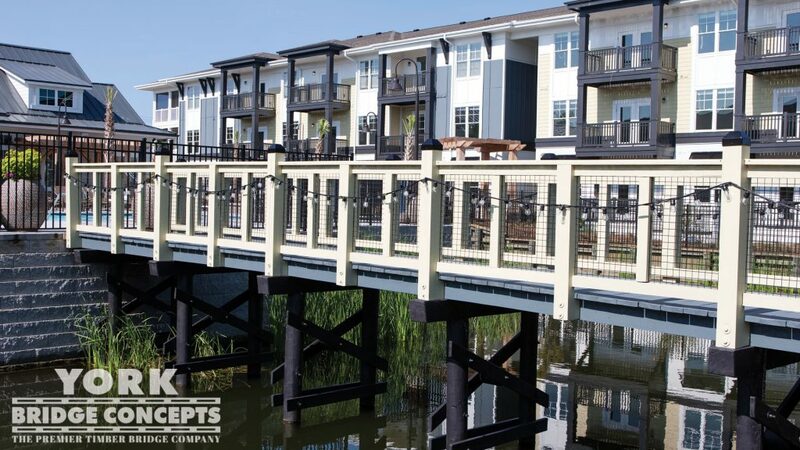 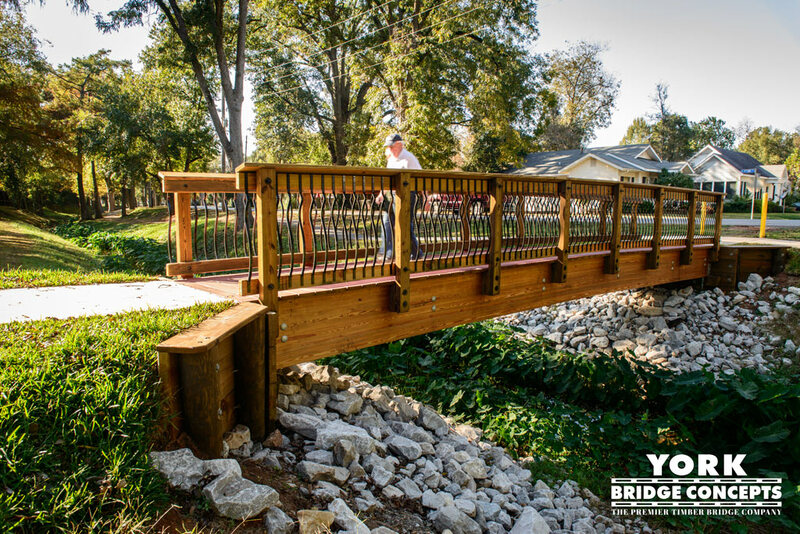 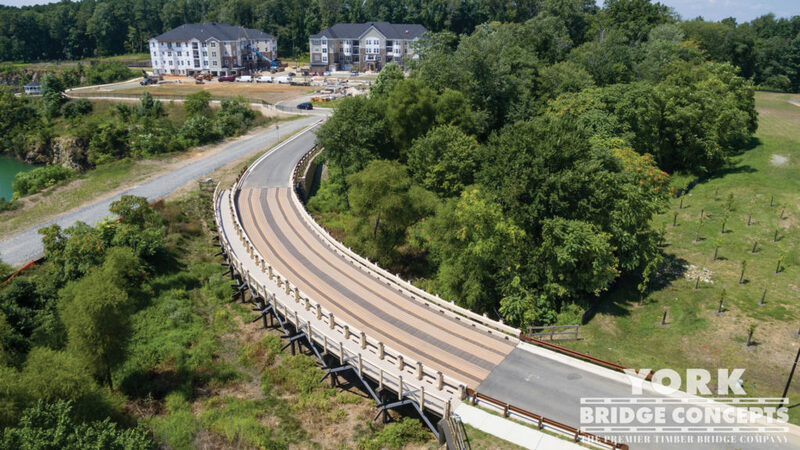 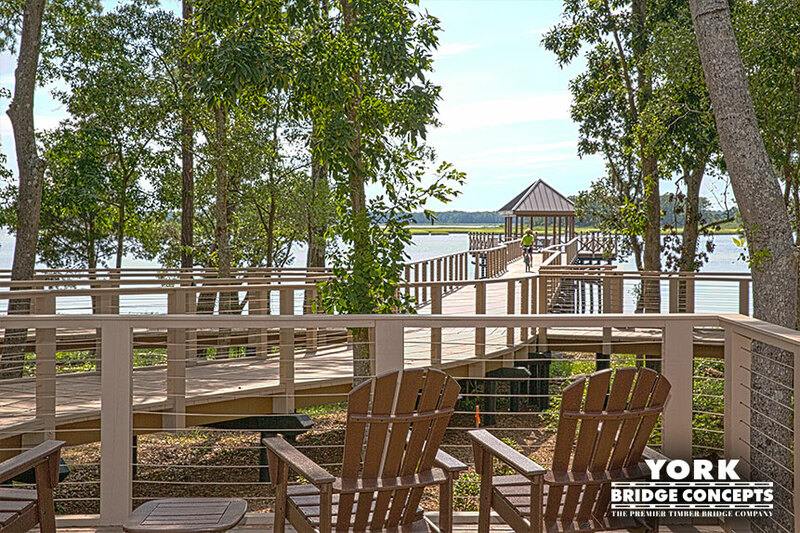 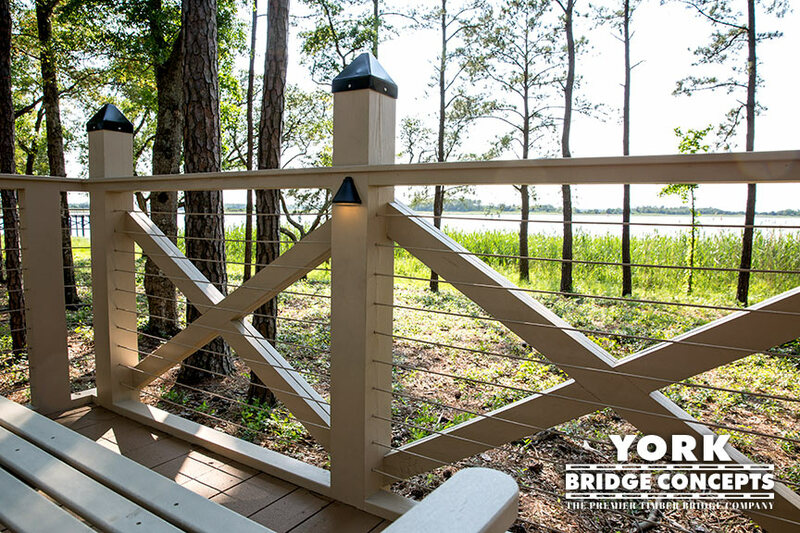 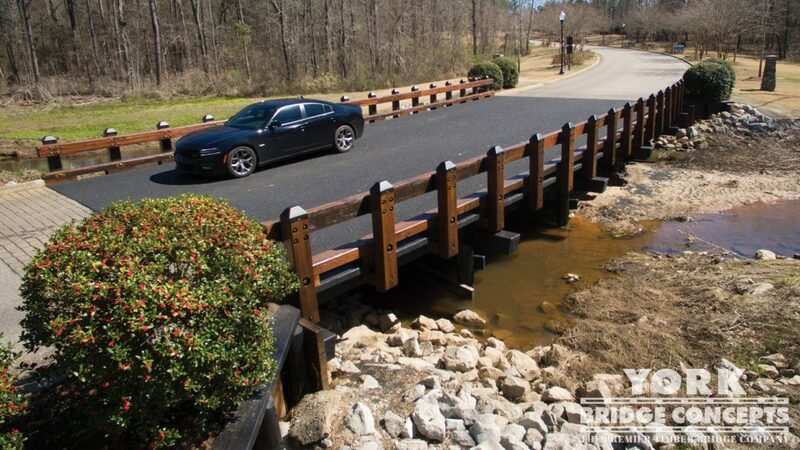 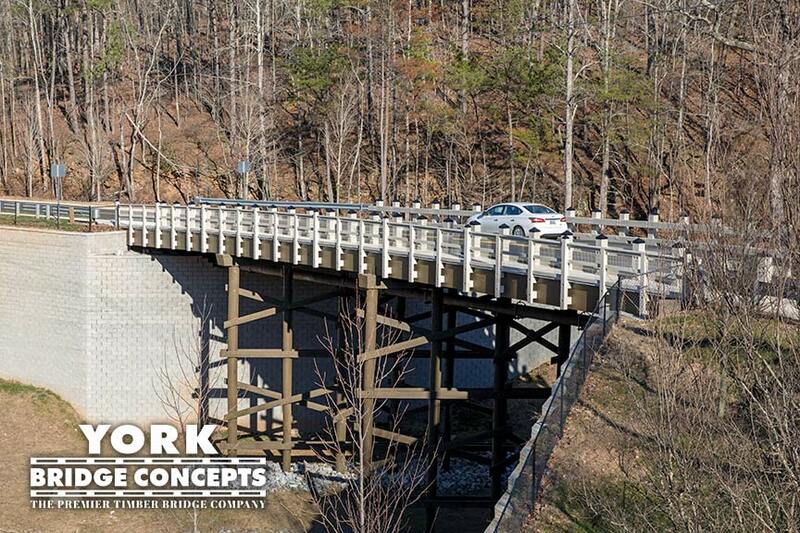 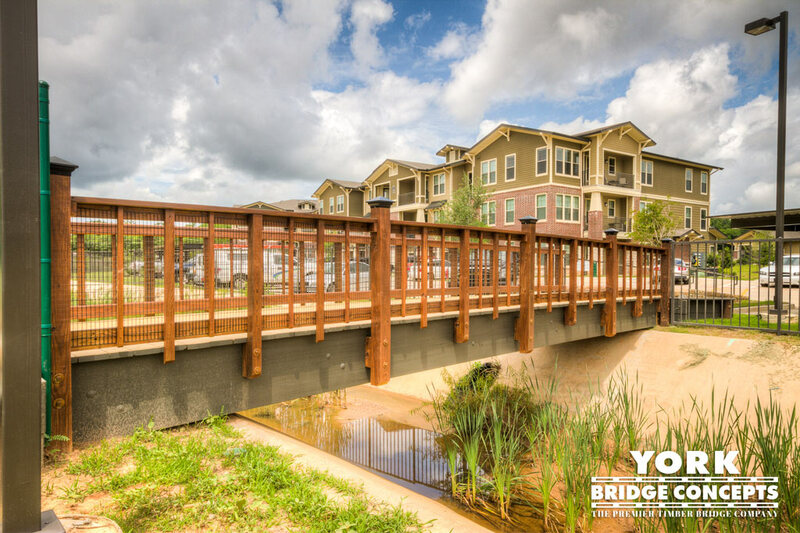 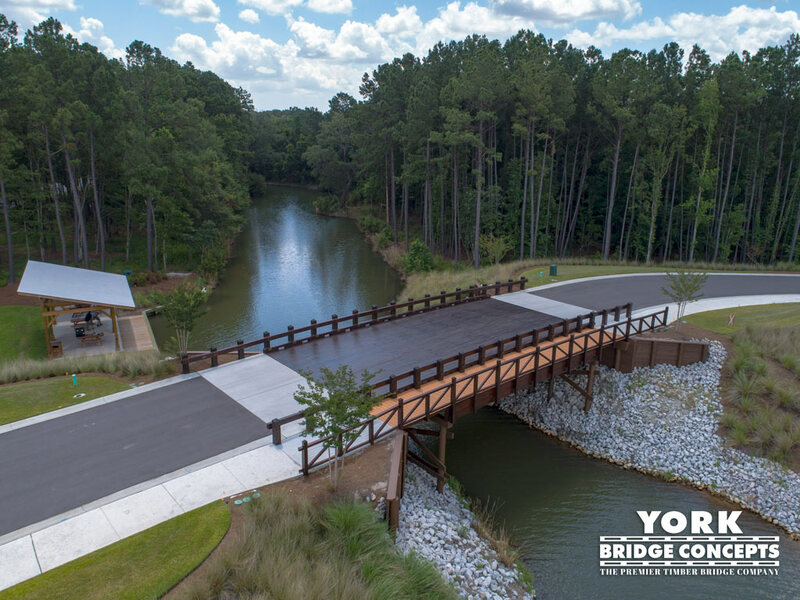 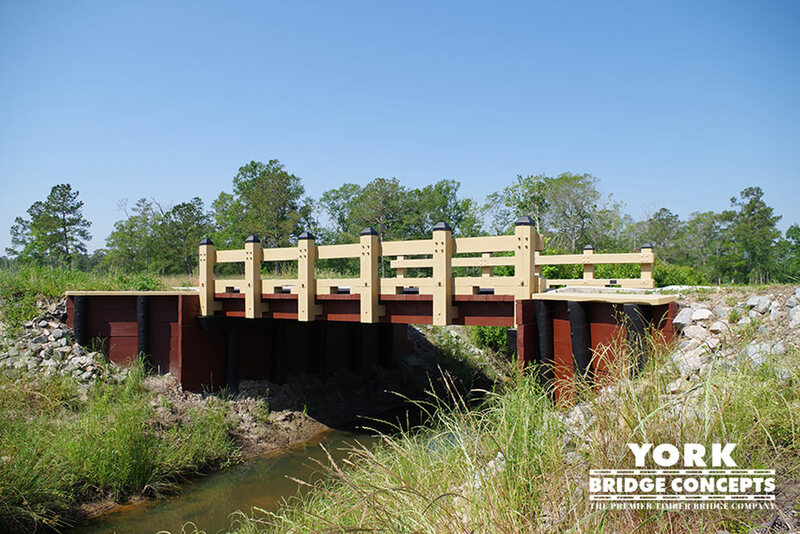 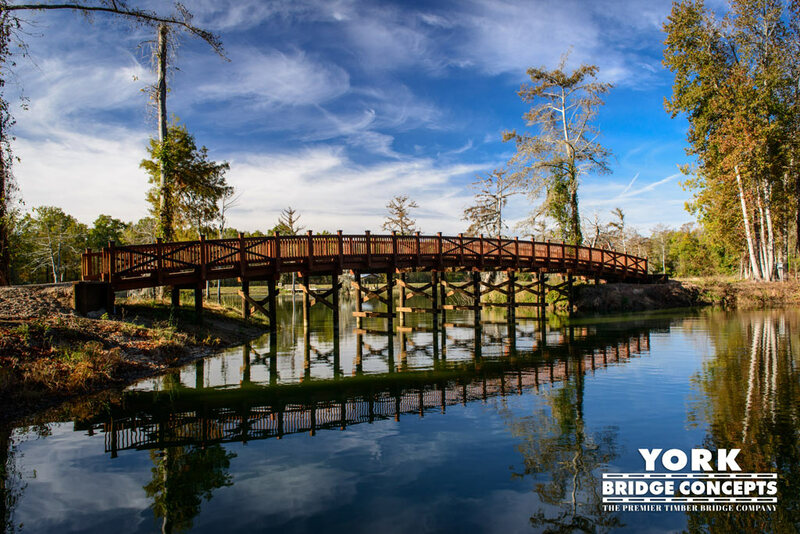 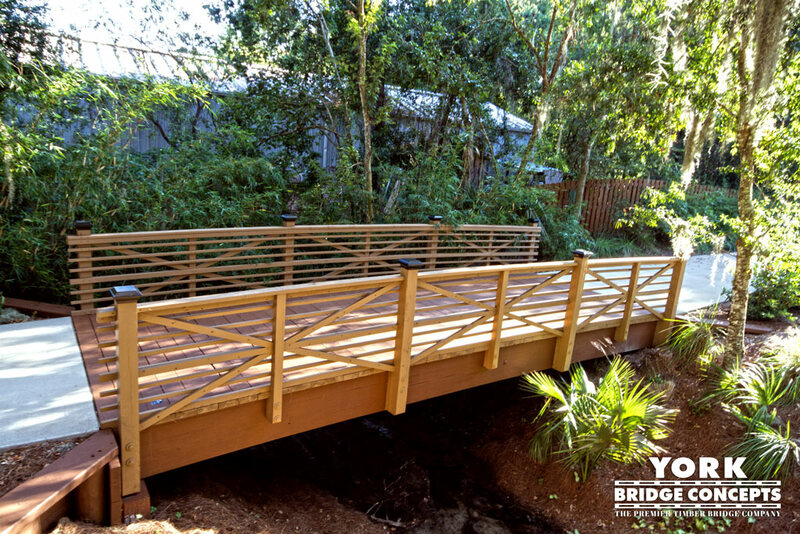 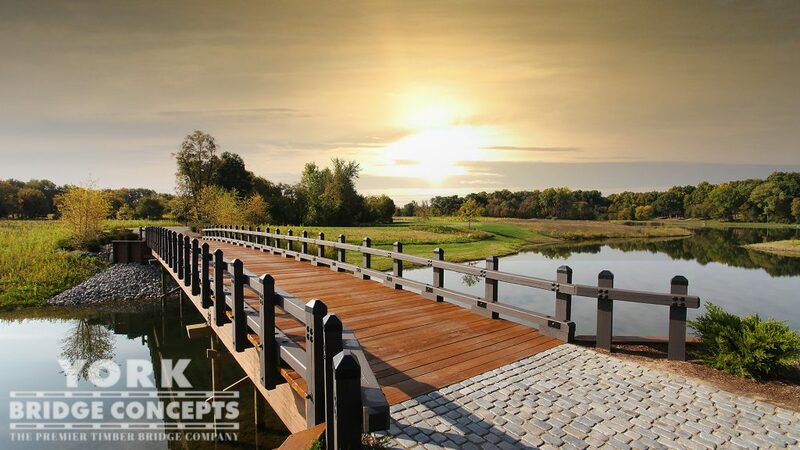 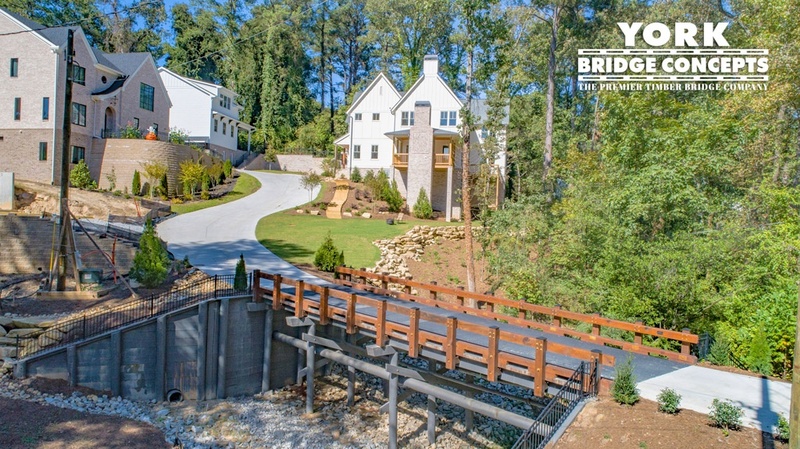 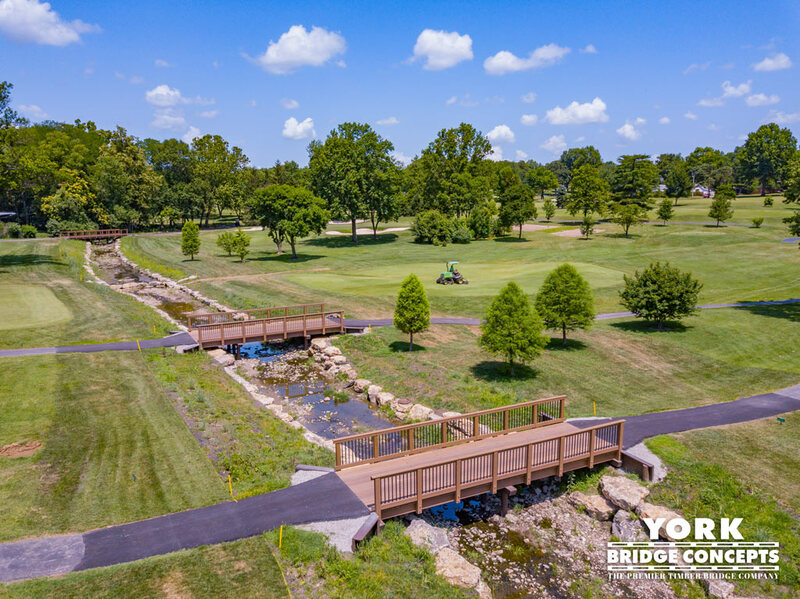 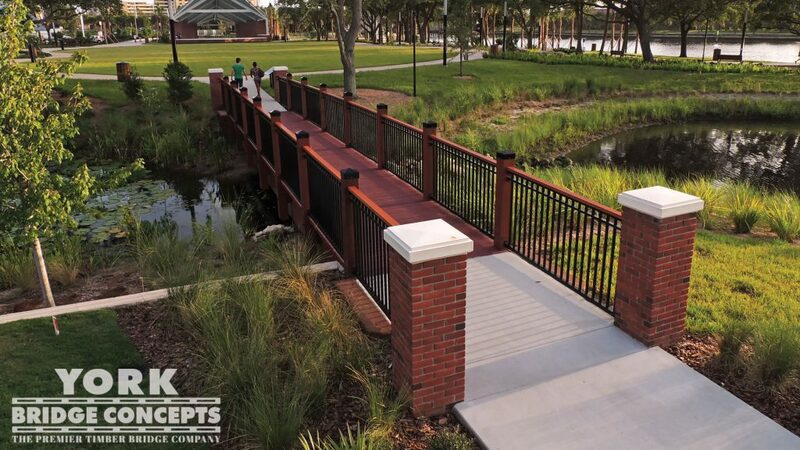 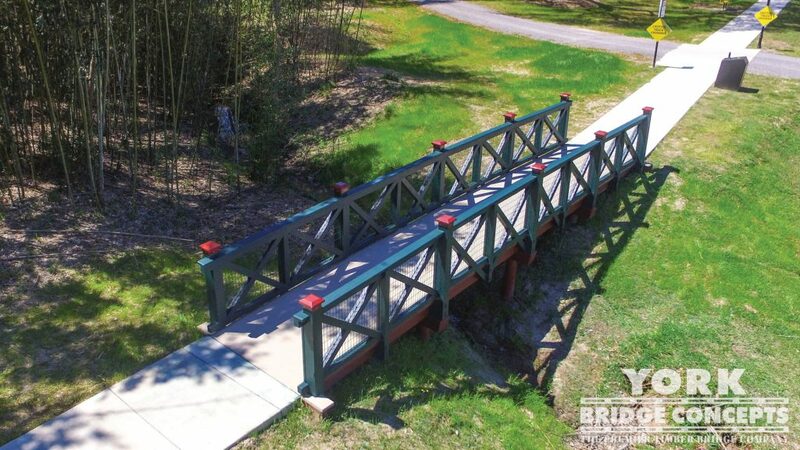 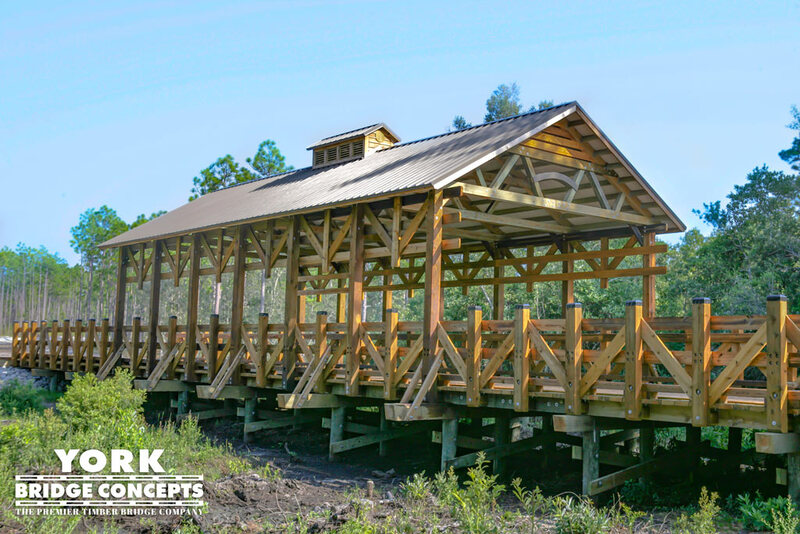 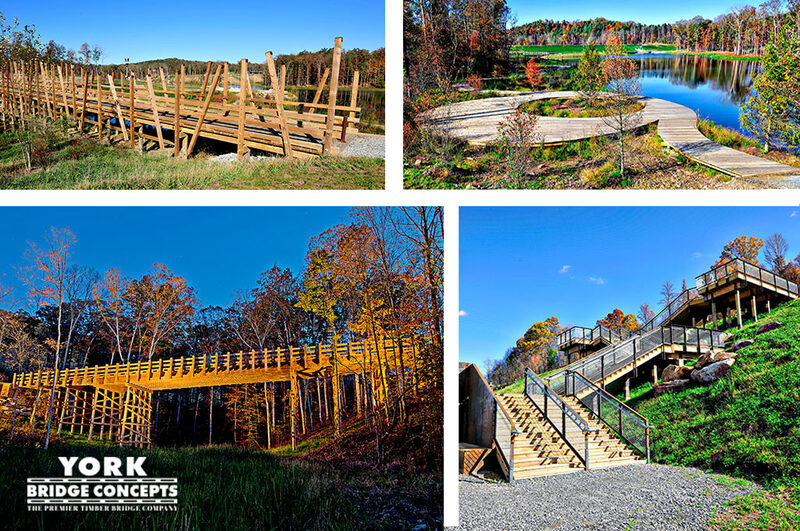 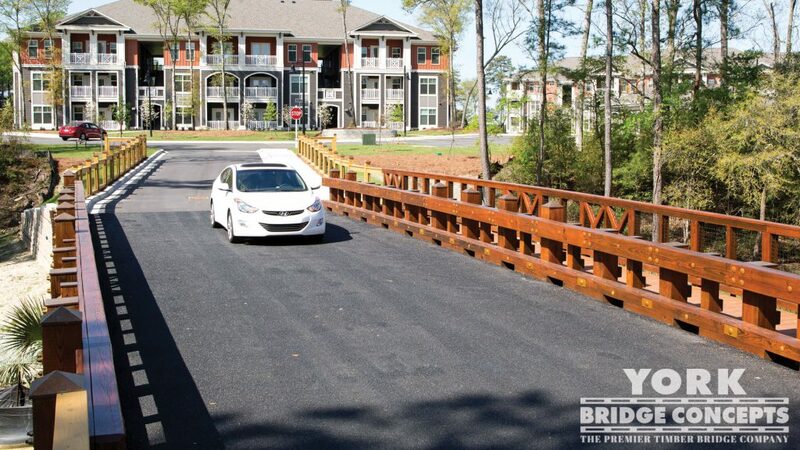 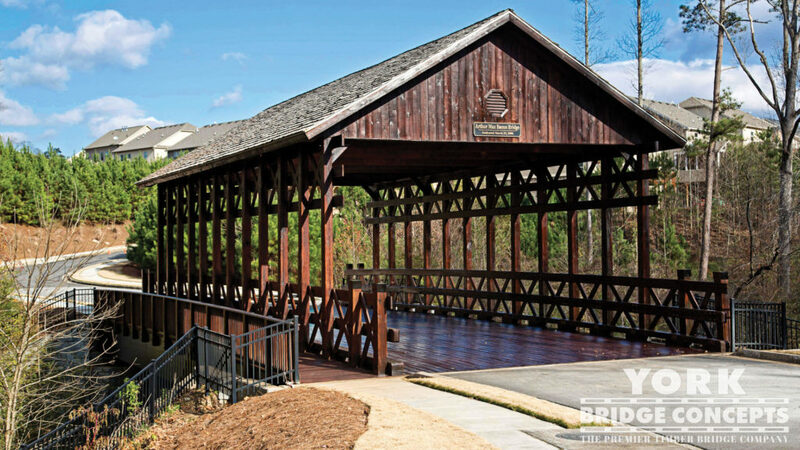 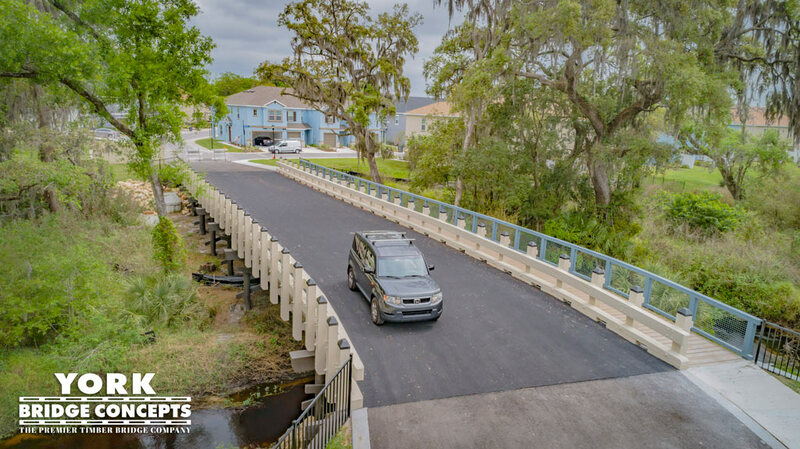 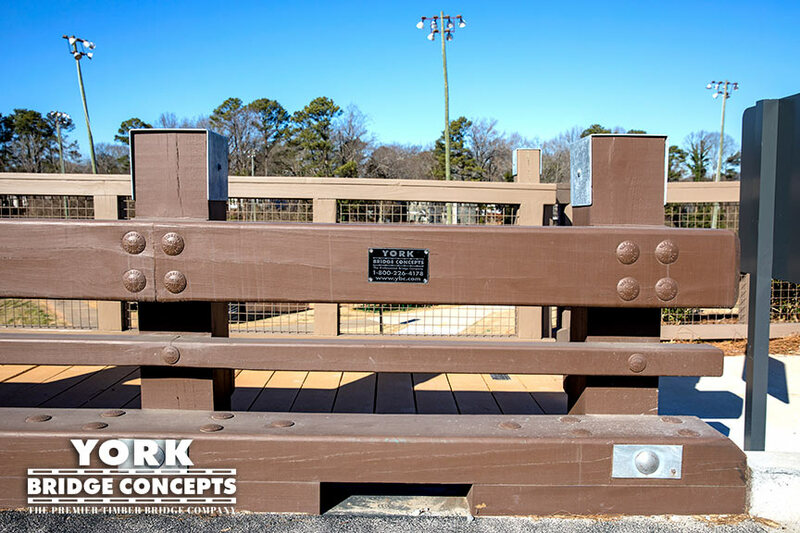 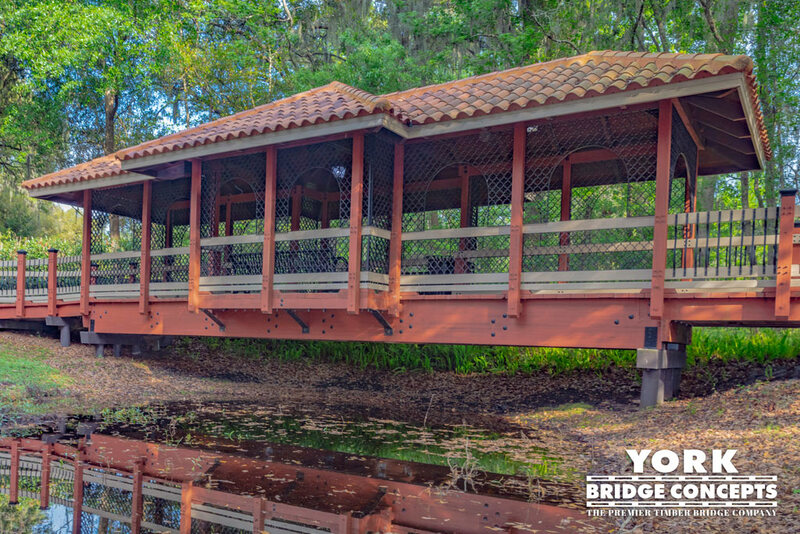 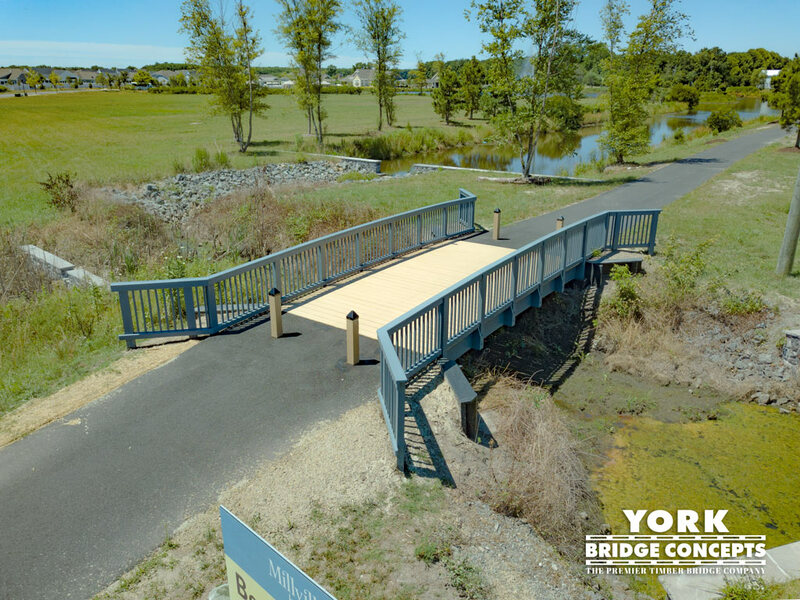 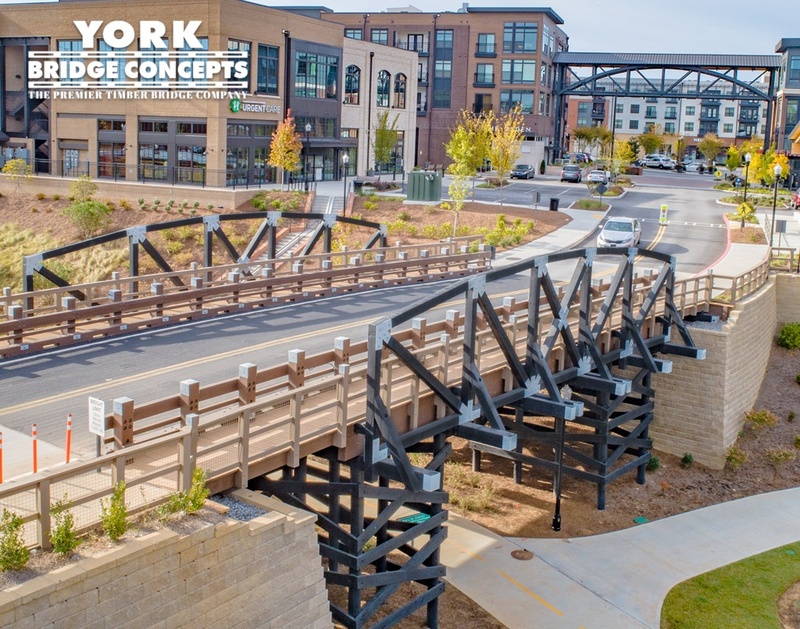 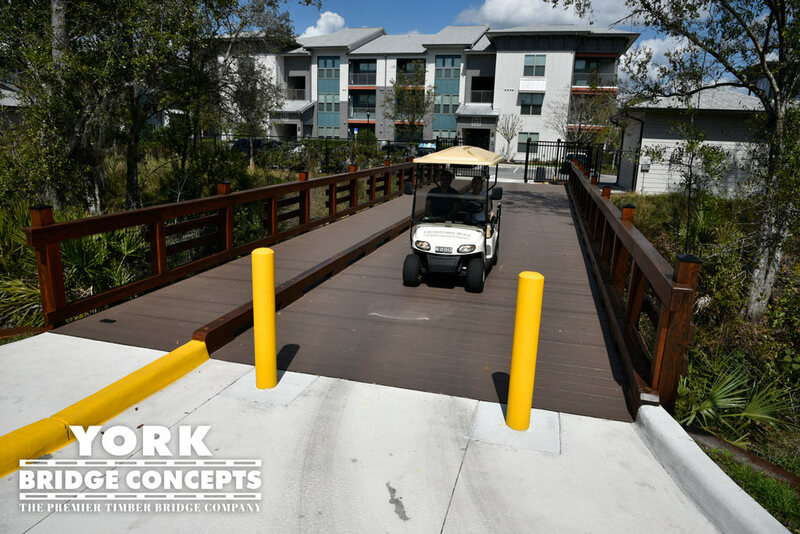 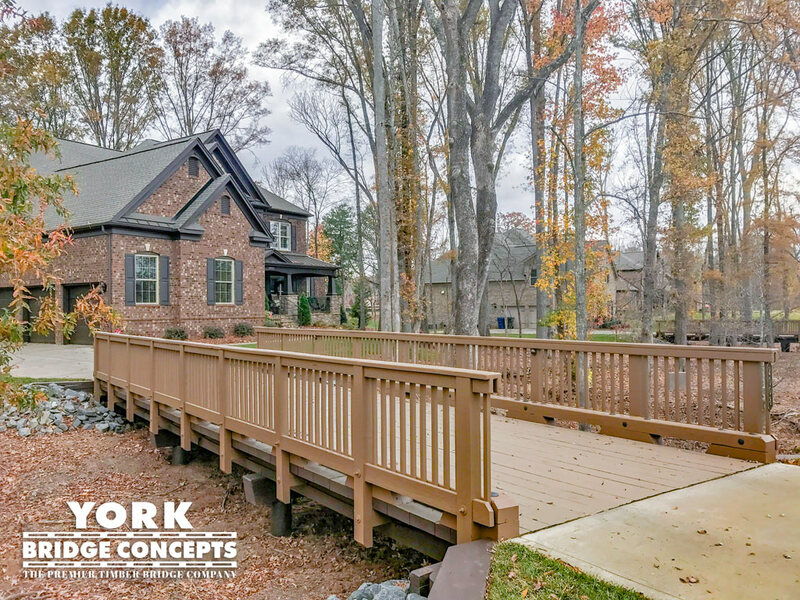 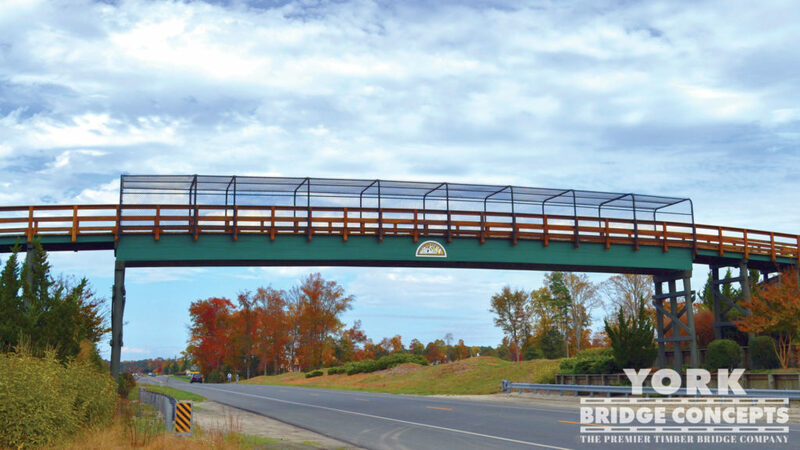 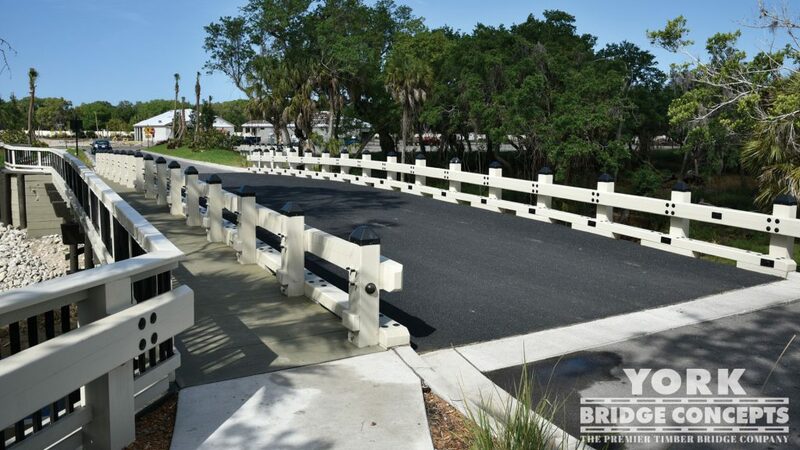 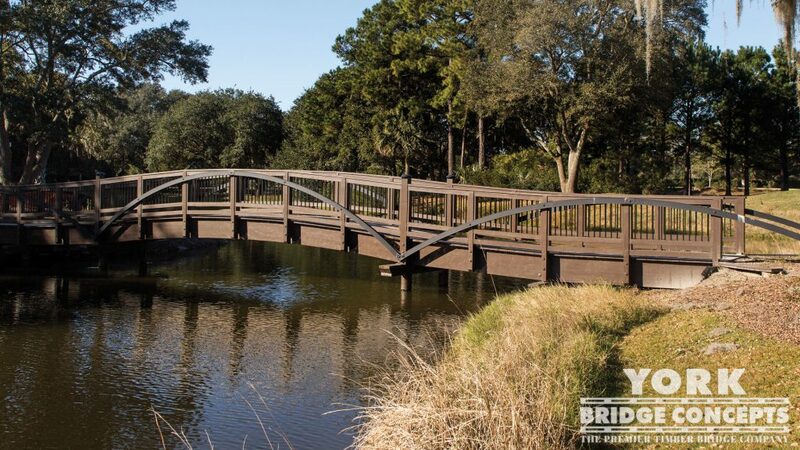 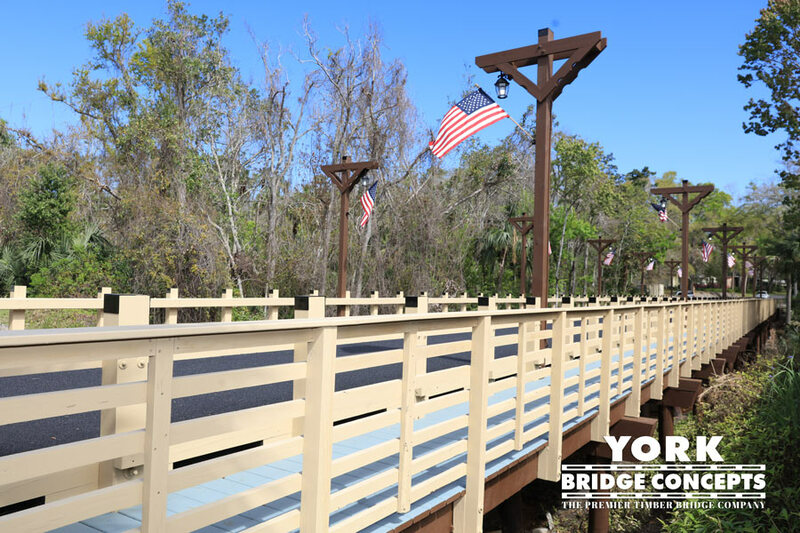 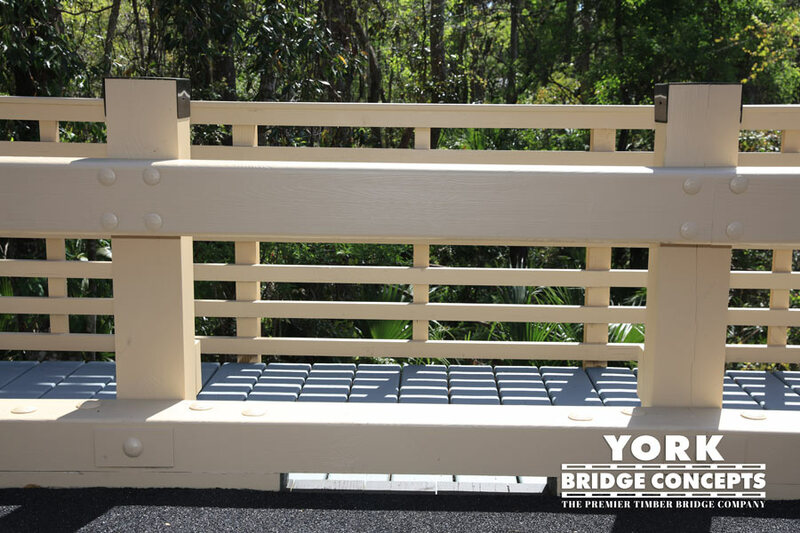 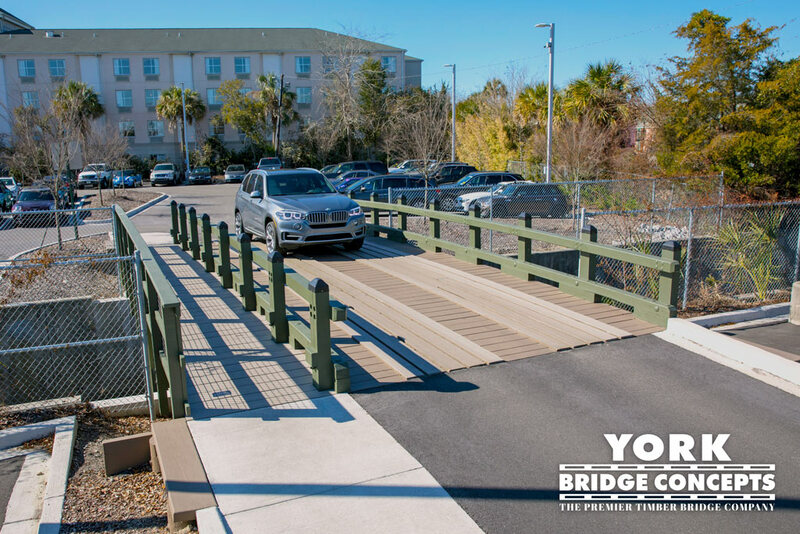 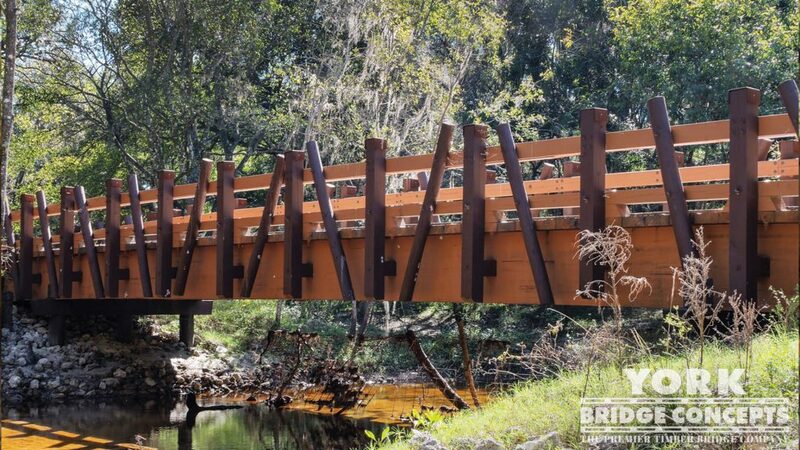 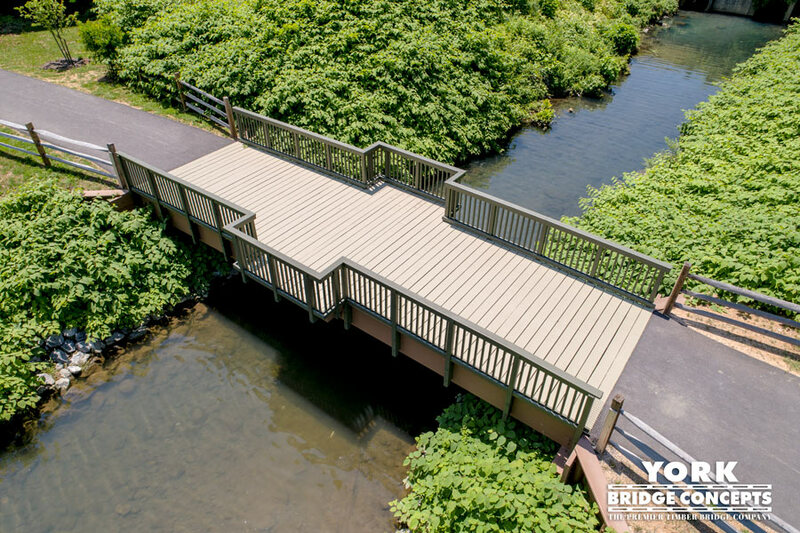 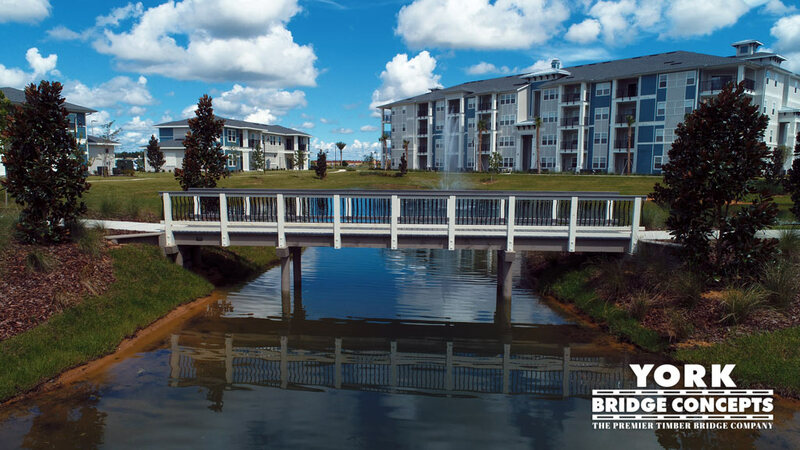 River Lights Development in Wilmington, NC partnered with the York Bridge Concepts™ team to activate the river’s edge, cross winding waters, and expand the community’s engagement with the property as a whole. 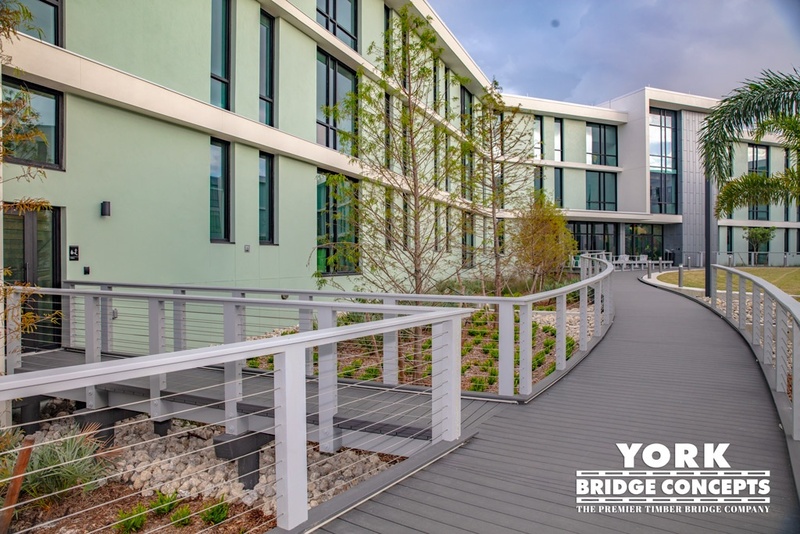 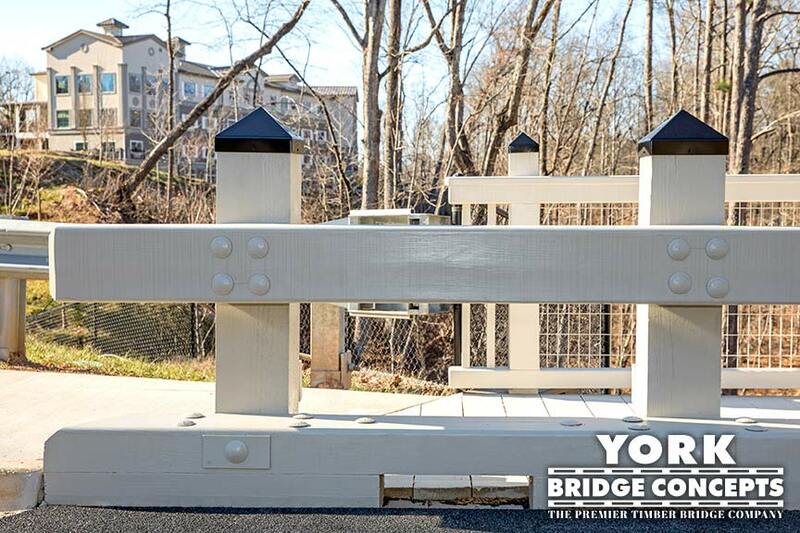 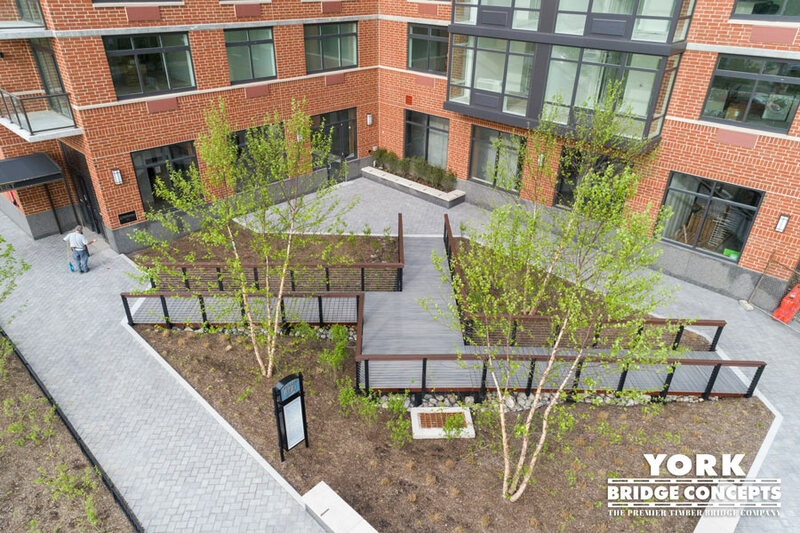 The YBC Decero™ Design Team known for it’s attention to detail, planned every inch of this large project to provide an enhanced experience for residents and visitors alike. 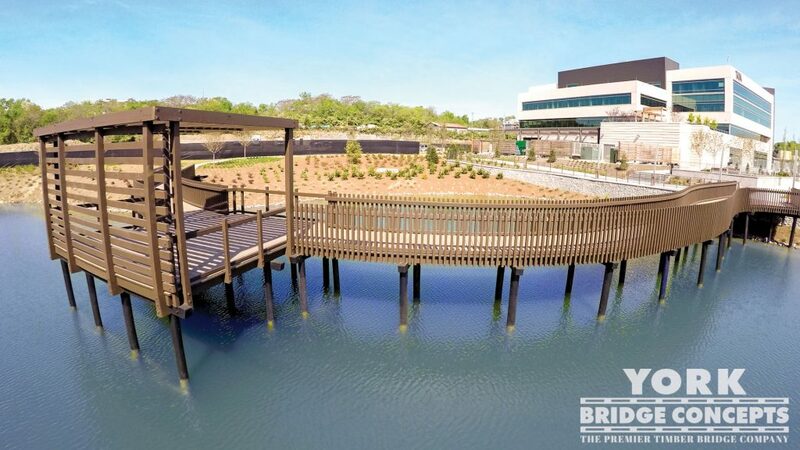 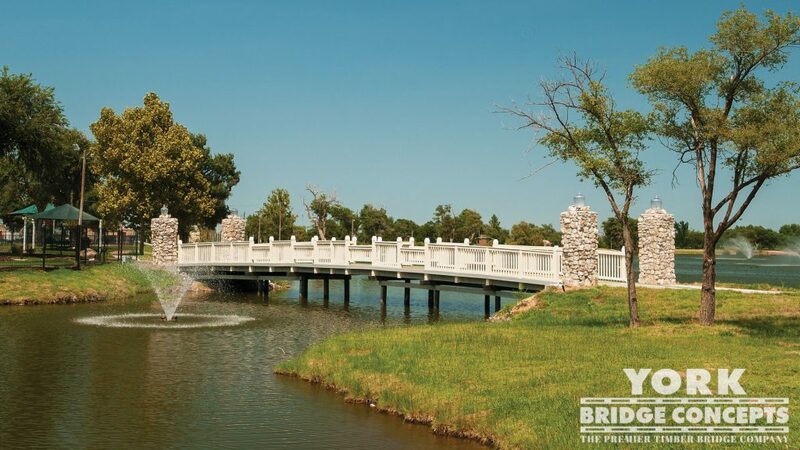 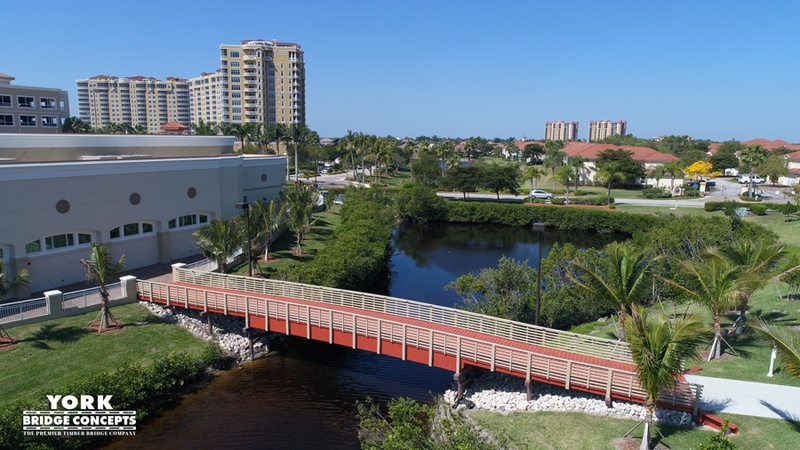 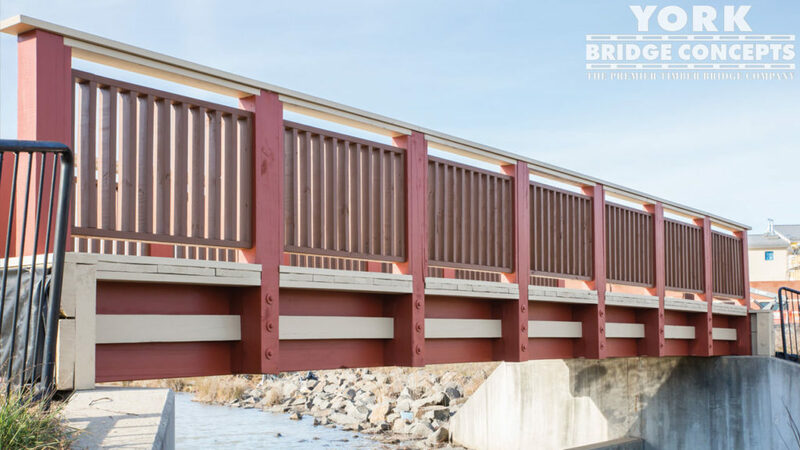 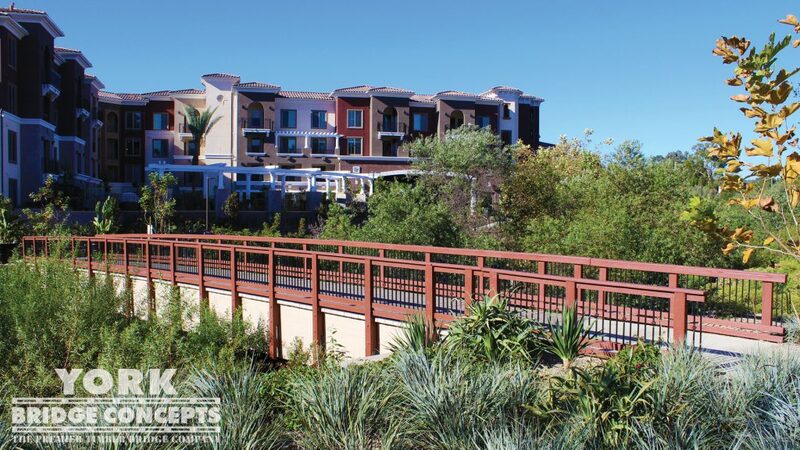 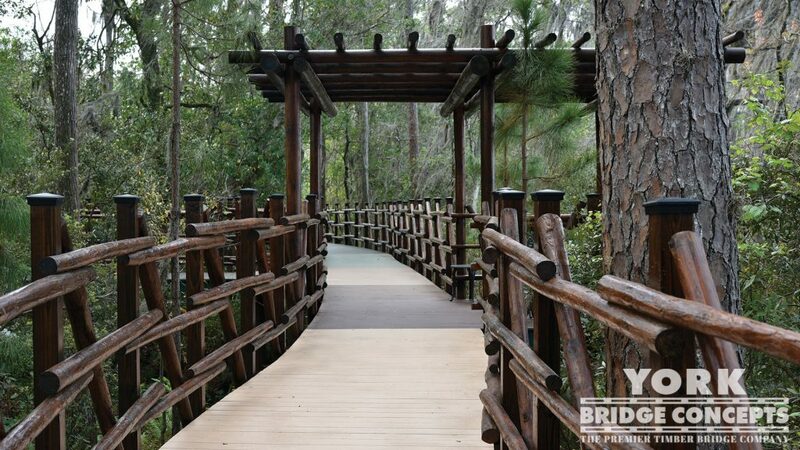 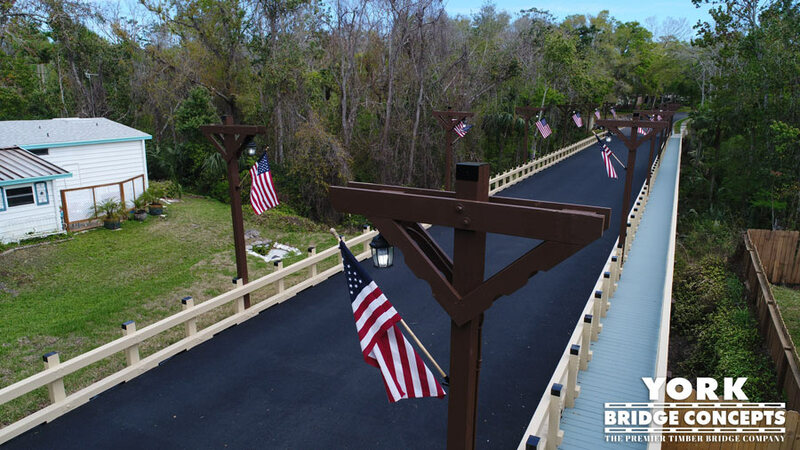 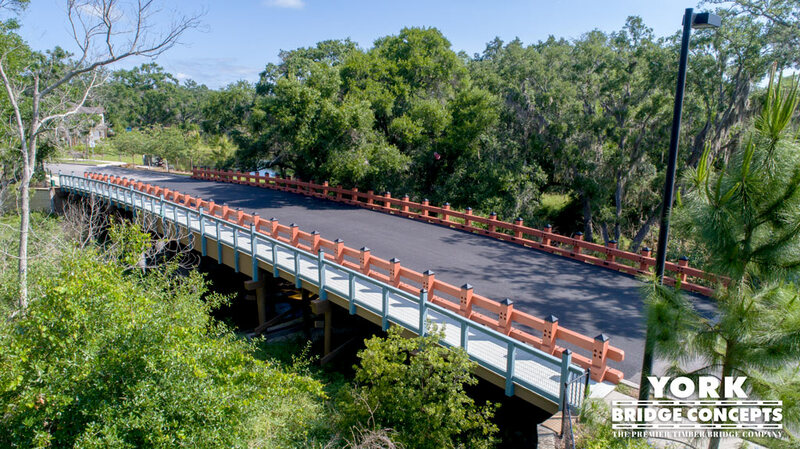 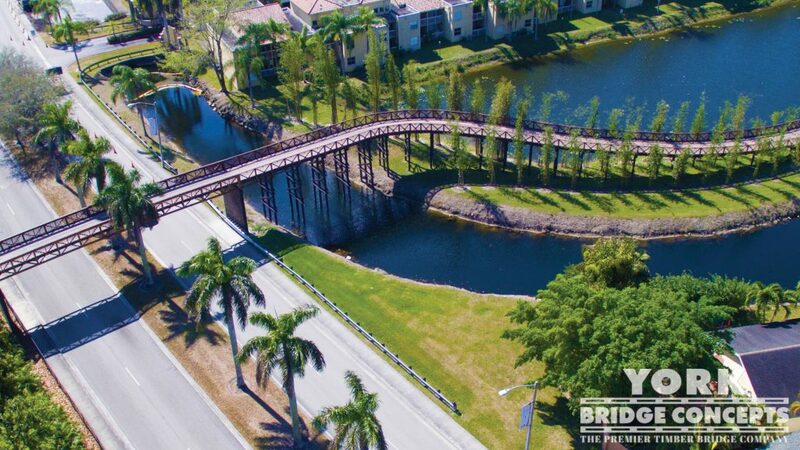 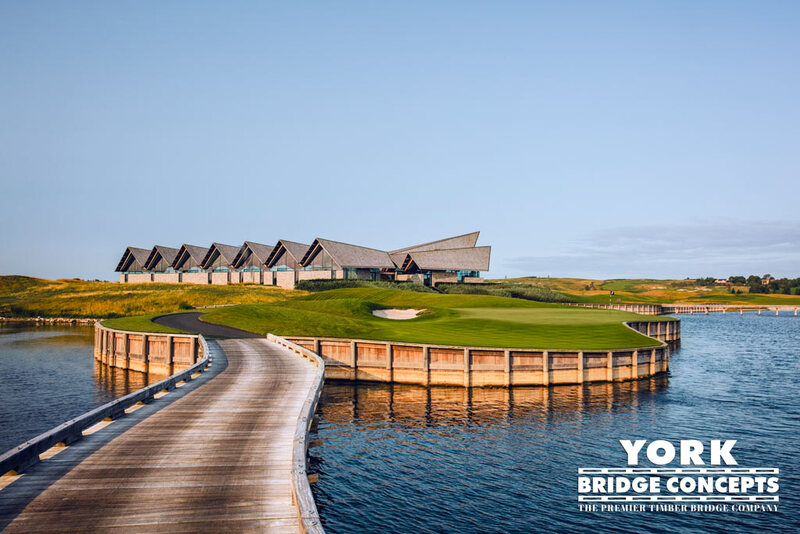 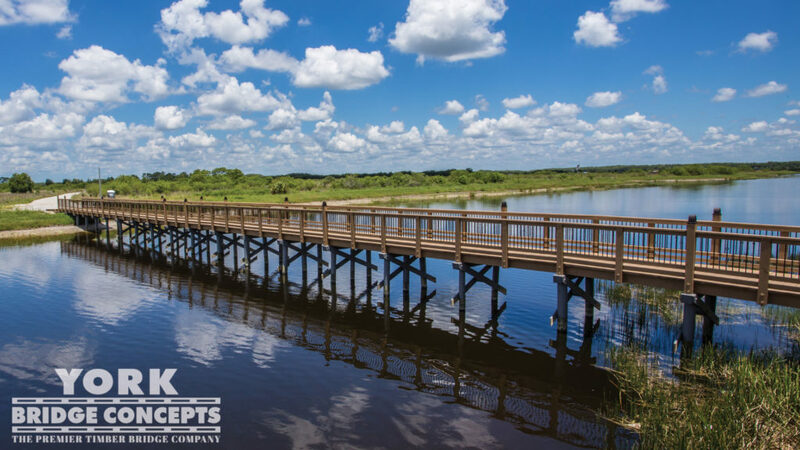 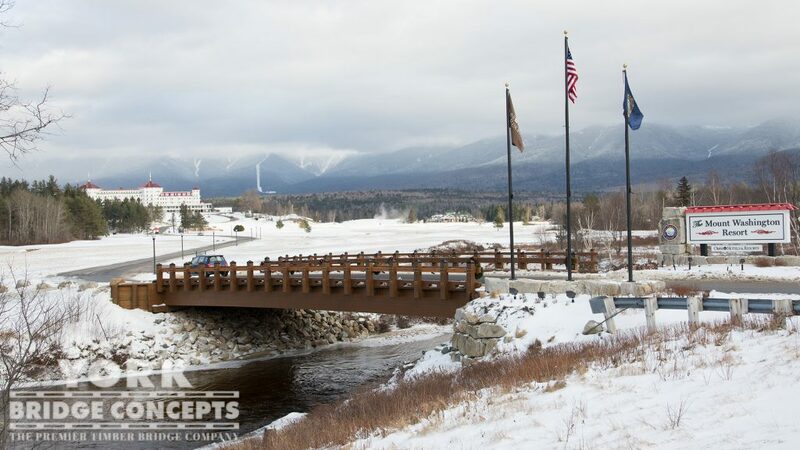 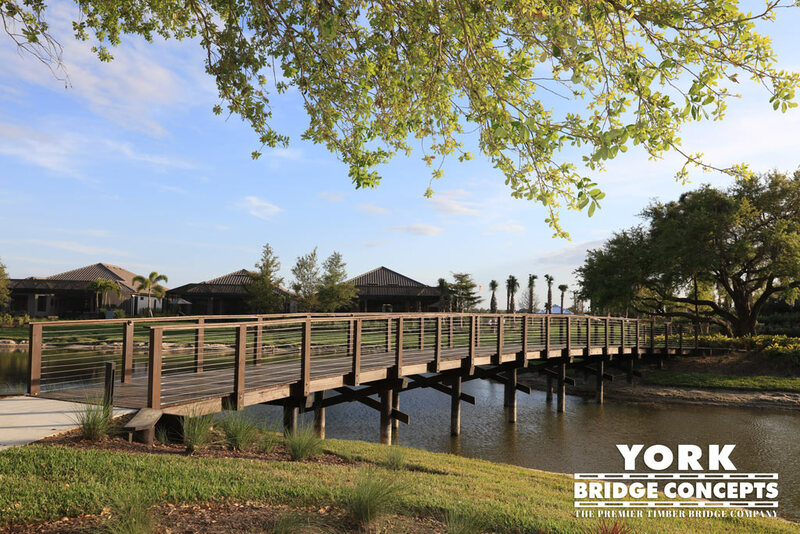 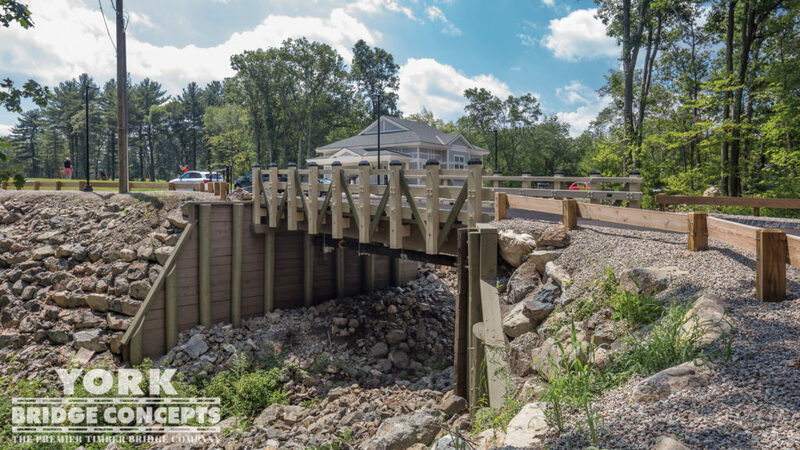 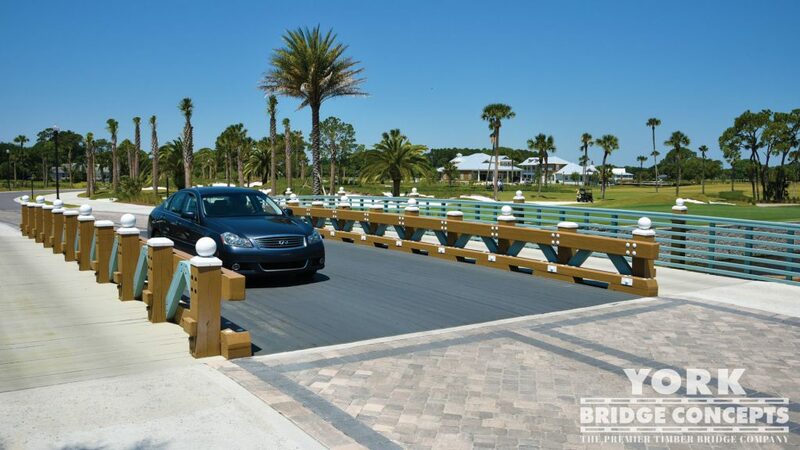 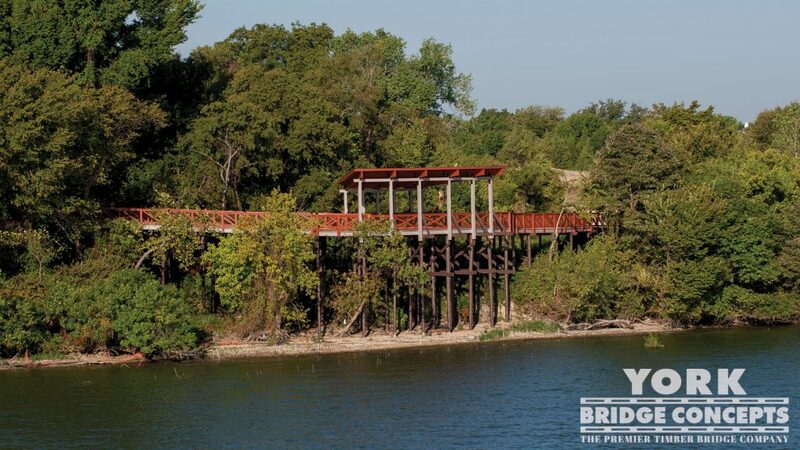 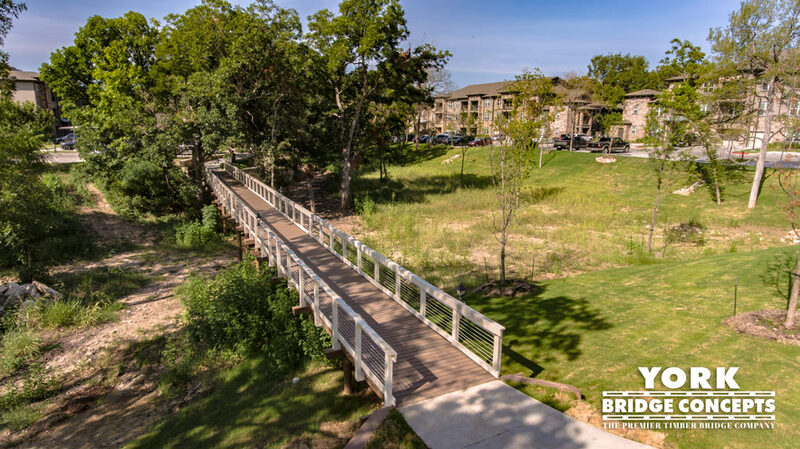 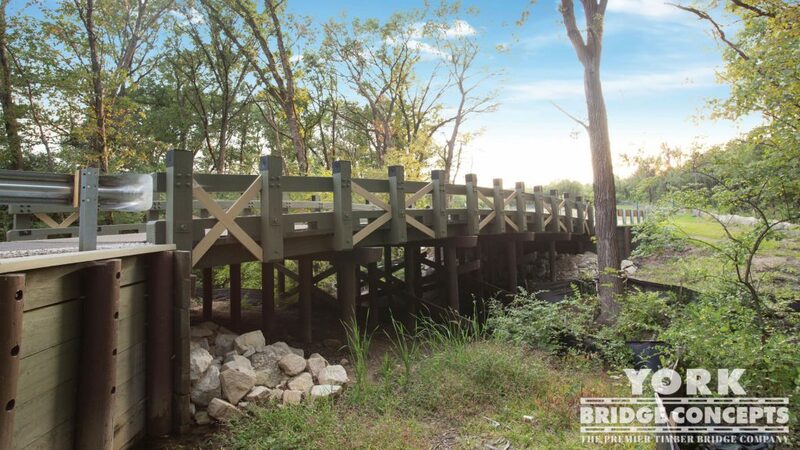 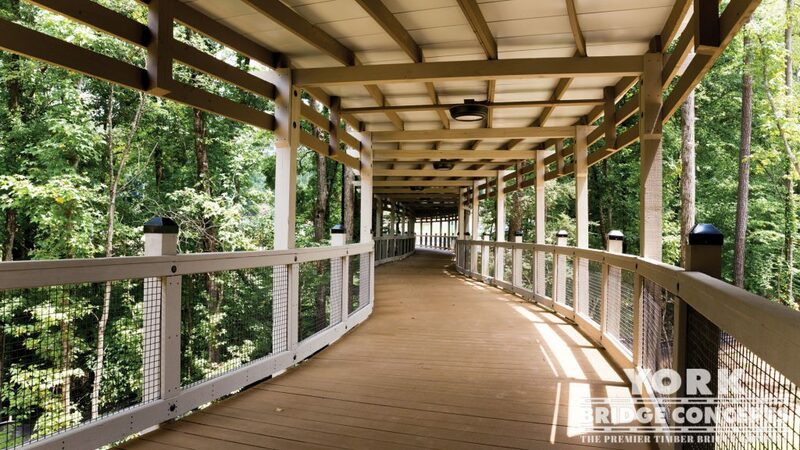 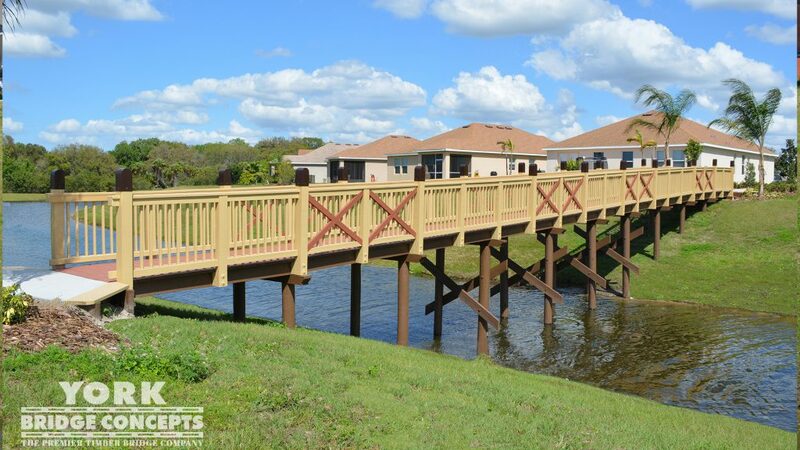 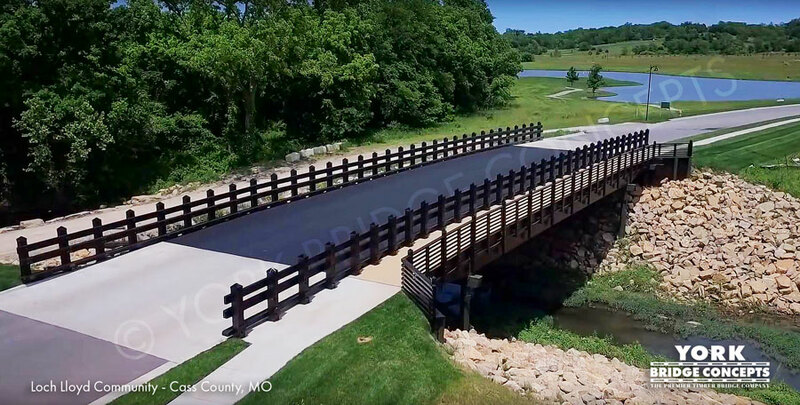 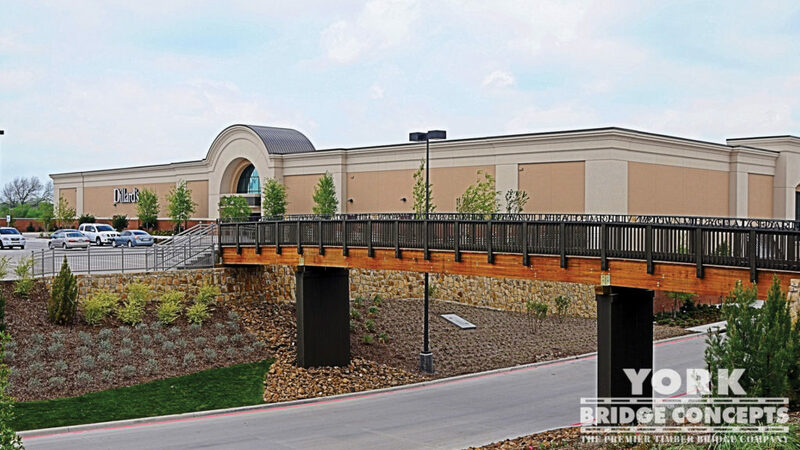 The River Lights Development features over 1500 feet of turnkey crossings & structures including a boardwalk, pier & pavilion, pedestrian bridge, and outdoor bar. 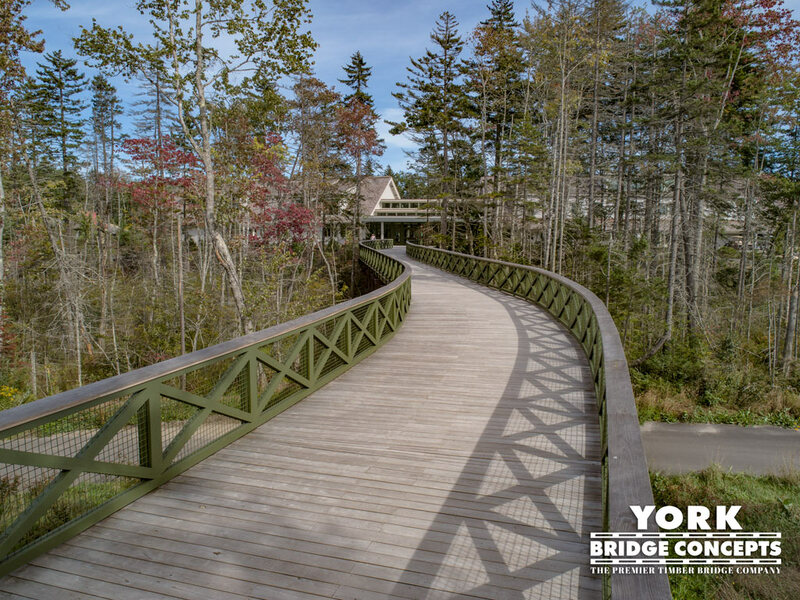 The boardwalk is comprised of nearly 1200 feet of continuous path meandering through the forested shoreline and connecting to the pier, restaurant, outdoor bar, and future piers. 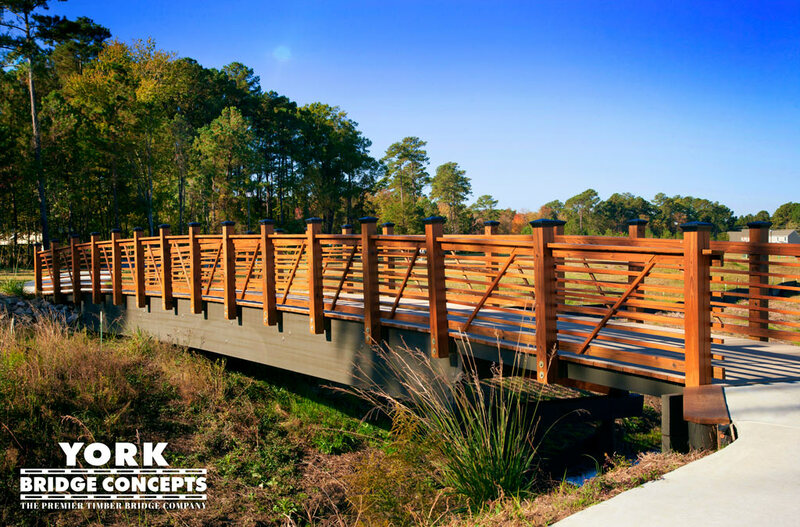 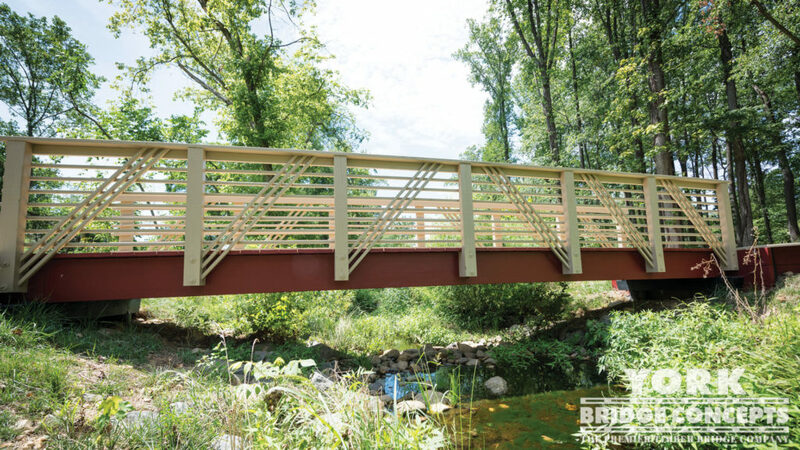 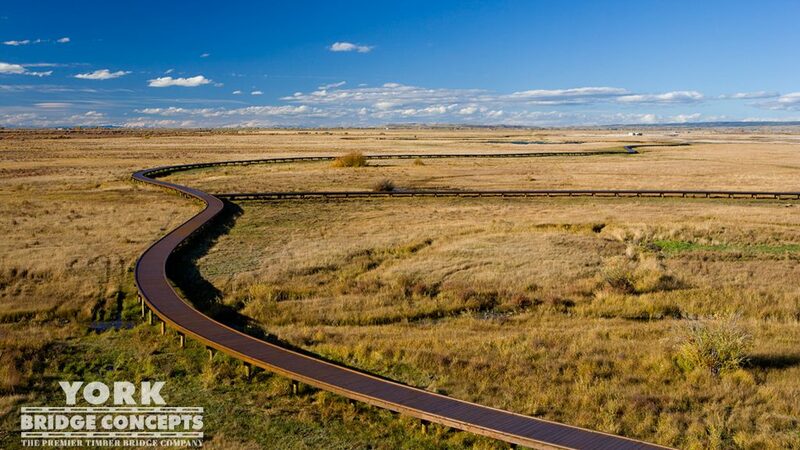 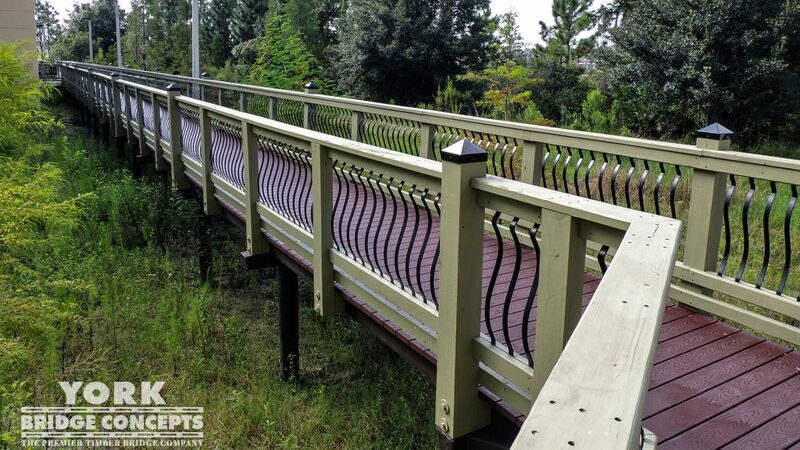 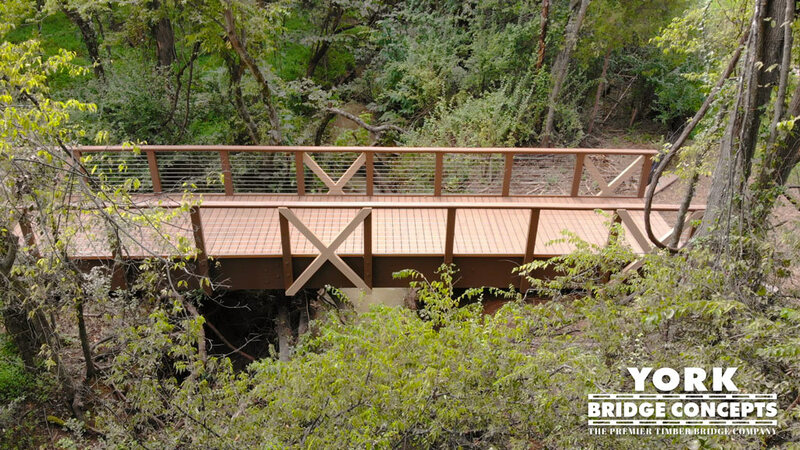 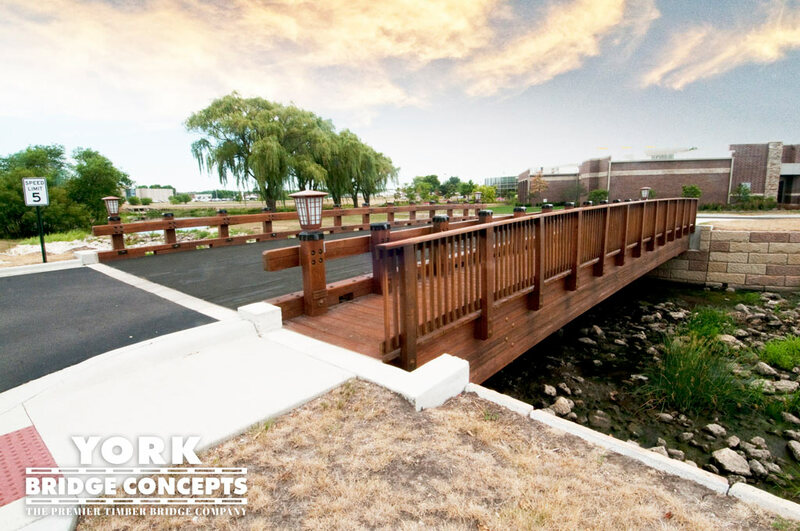 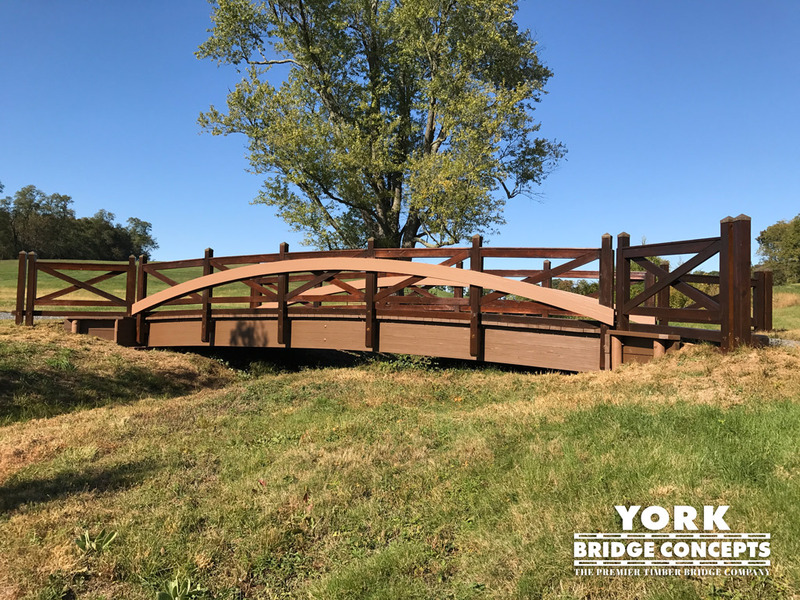 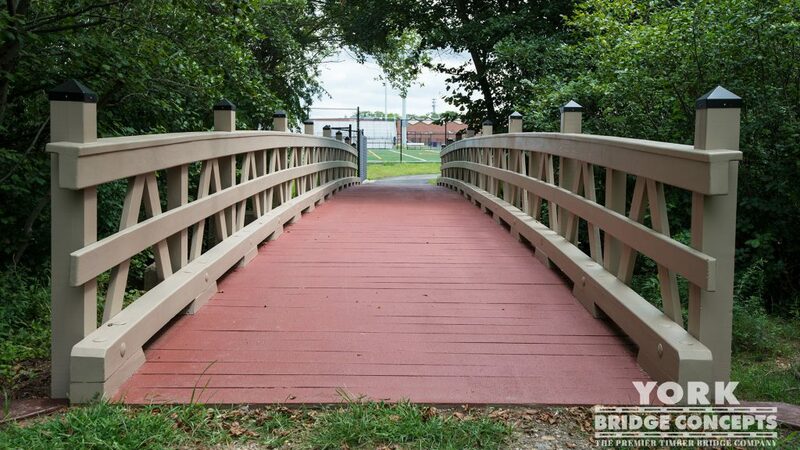 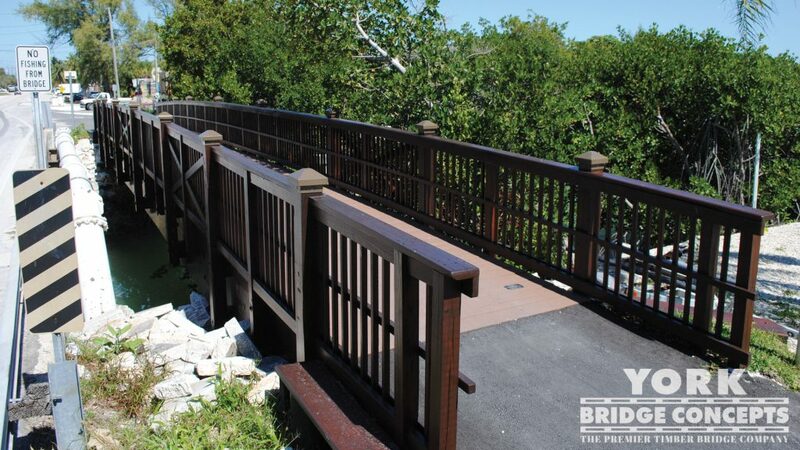 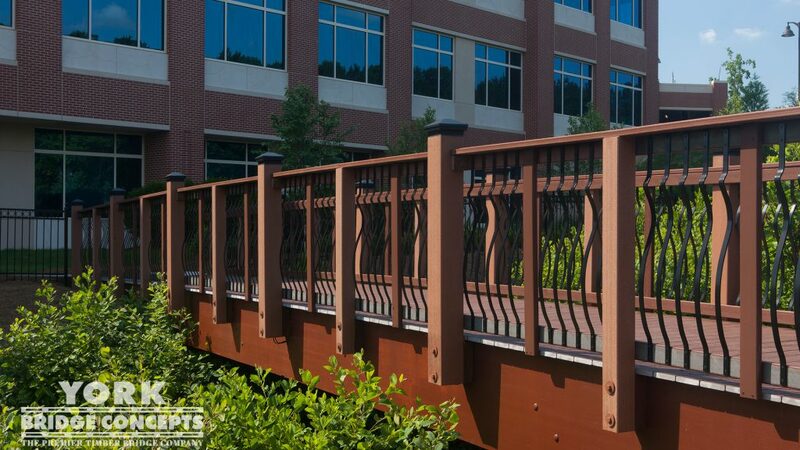 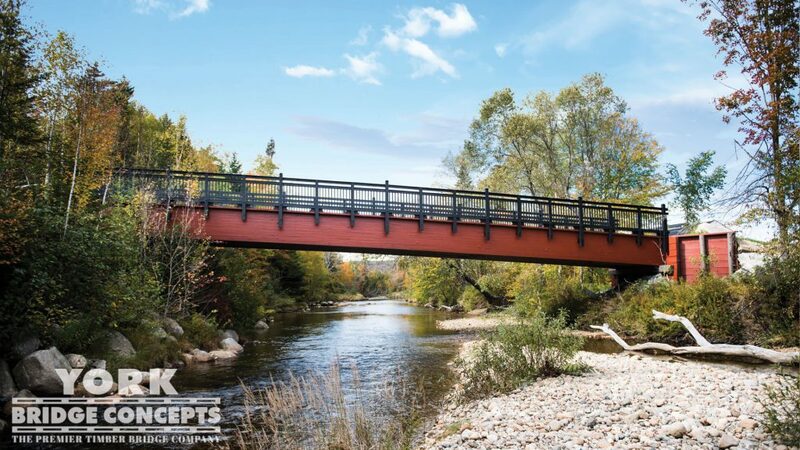 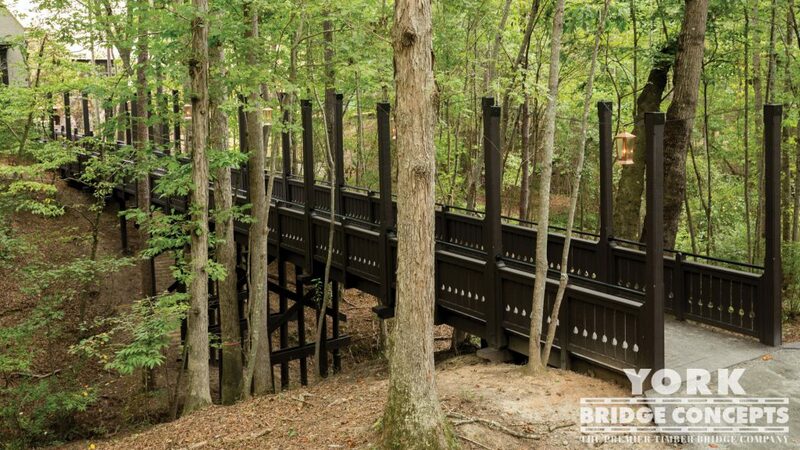 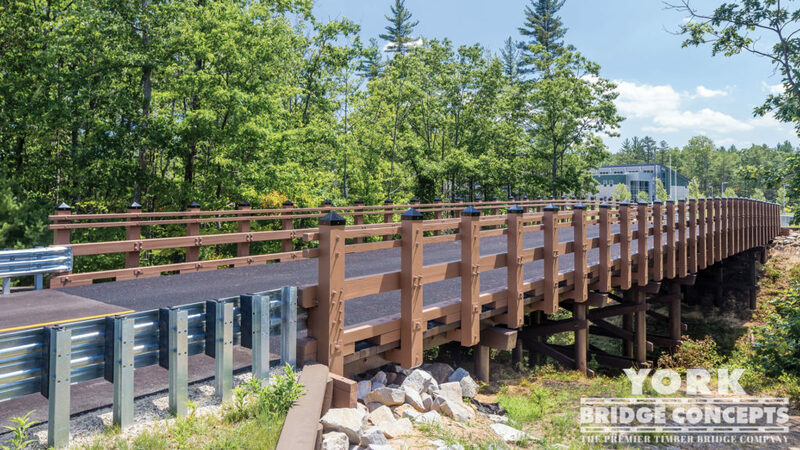 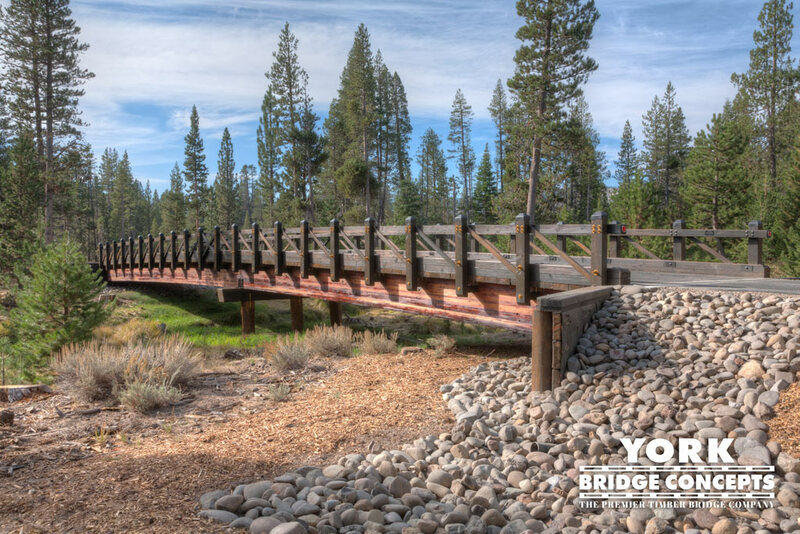 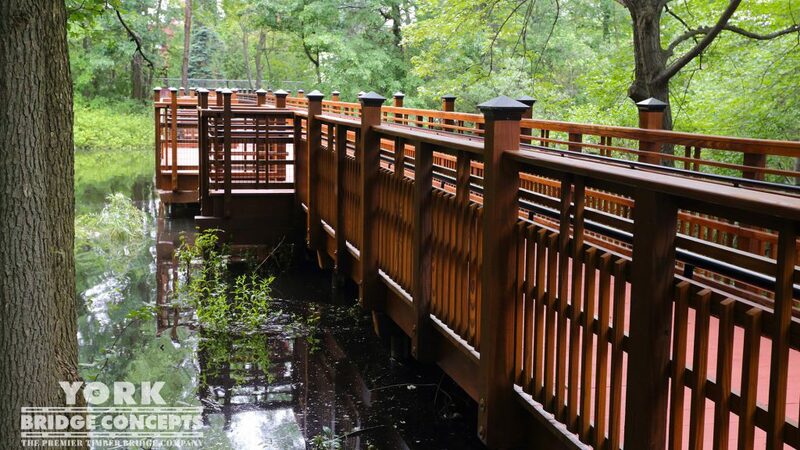 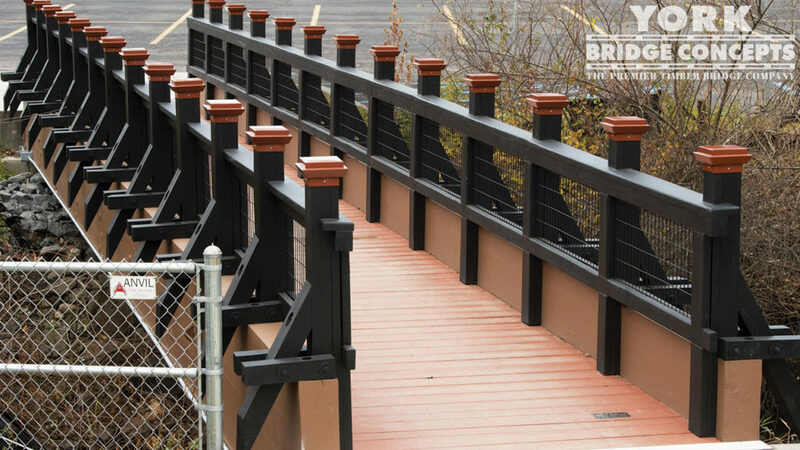 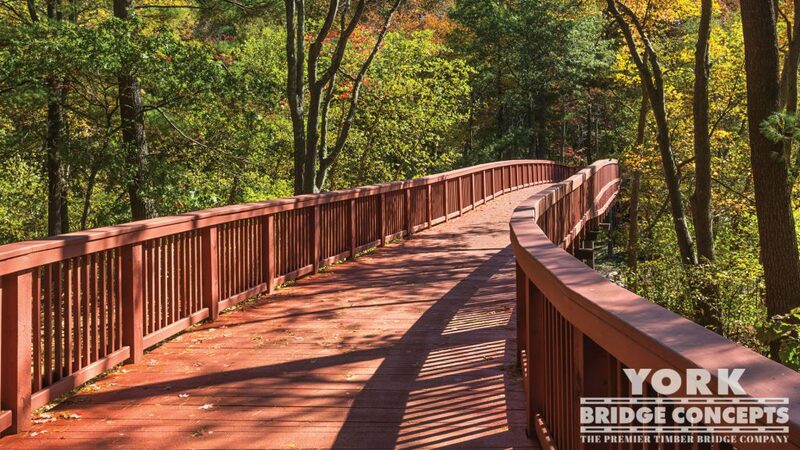 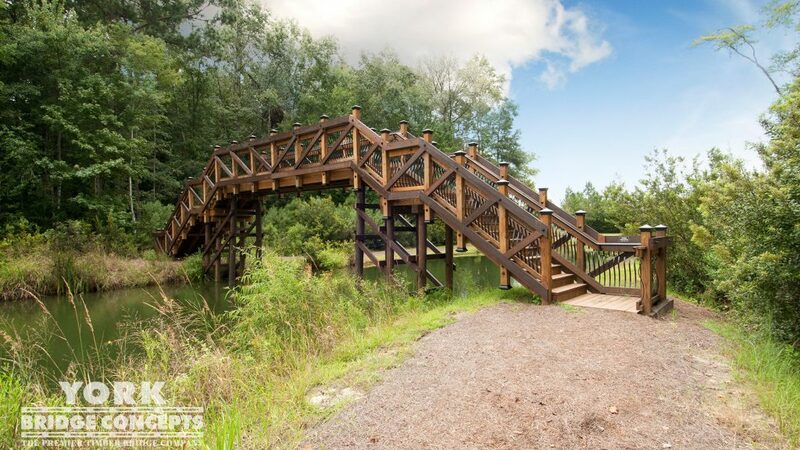 The design features seating wideouts, integrated lighting, and stainless steel wire rope handrails along a quality crafted curving path perfect for a leisurely walk. 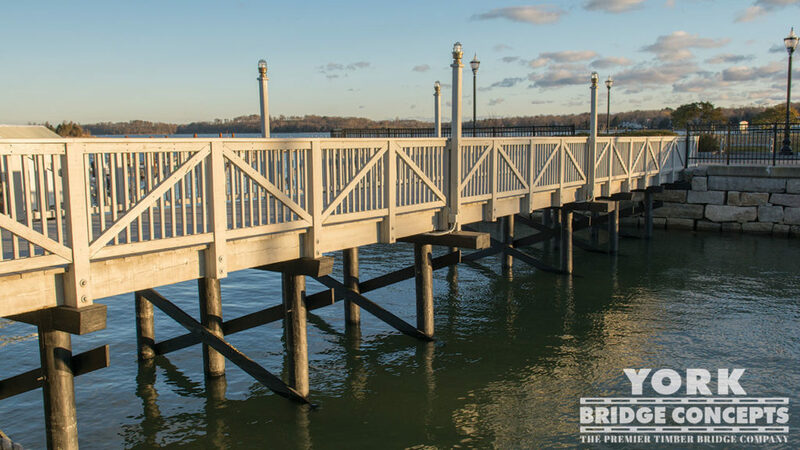 The 160’ pier extends from the boardwalk crossing the shoreline and then out over the water terminating at a large 28’ square dock head with a 14’ square pavilion. 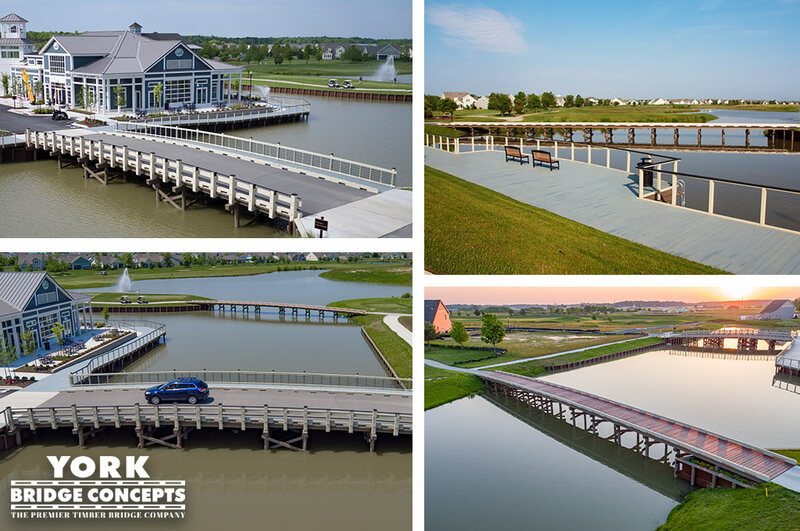 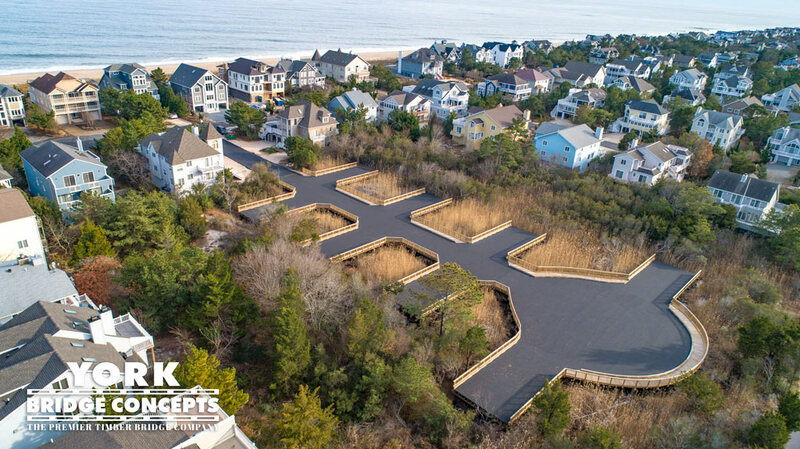 This pier was developed to have reduced shoreline impact with a site specific narrowed path & structure as well as, deck level construction nearly eliminating our environmental footprint. 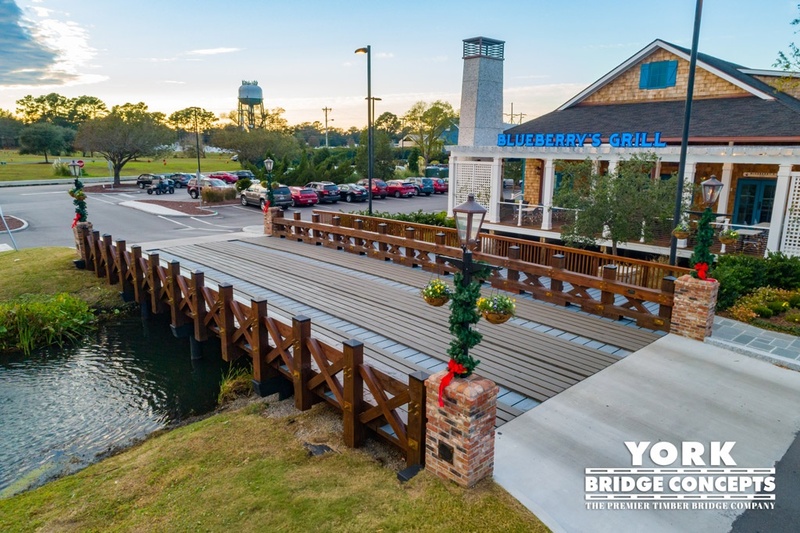 The 53 foot bar is an icon adjacent to the to the outdoor lounge featuring fire pits, activity lawn, and open seating area. 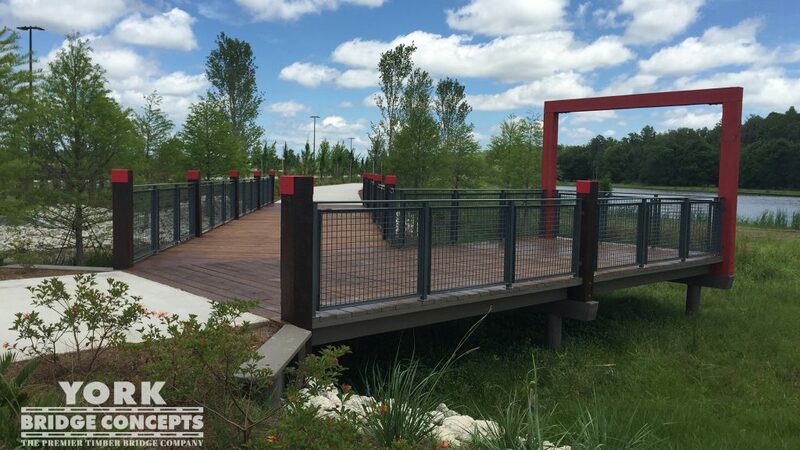 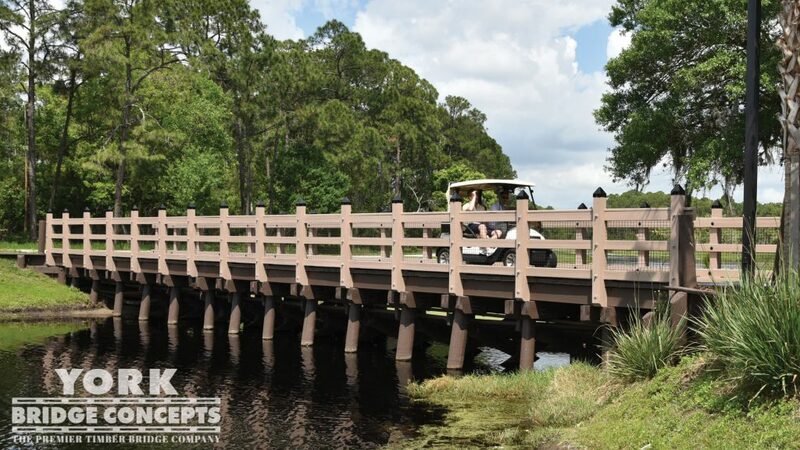 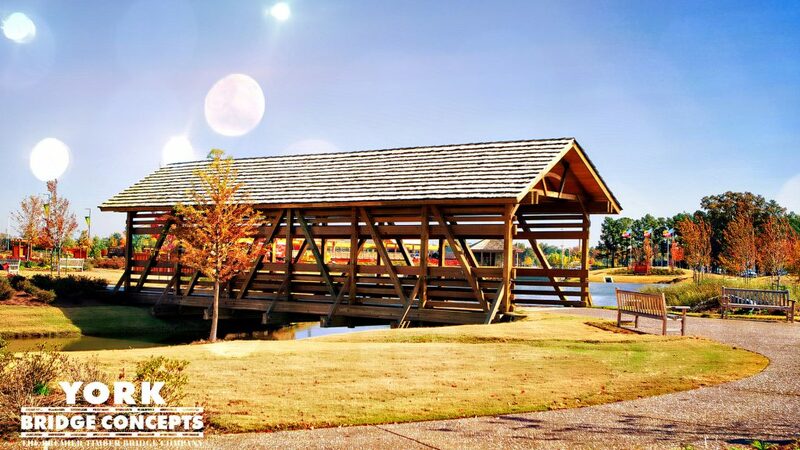 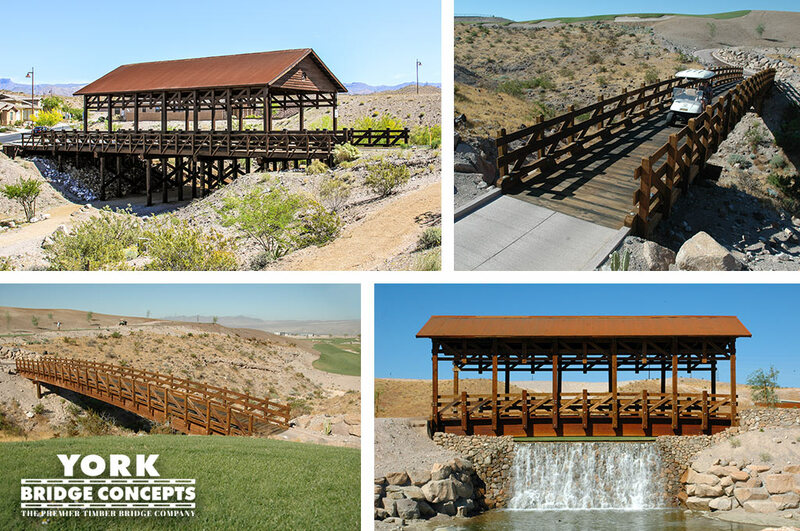 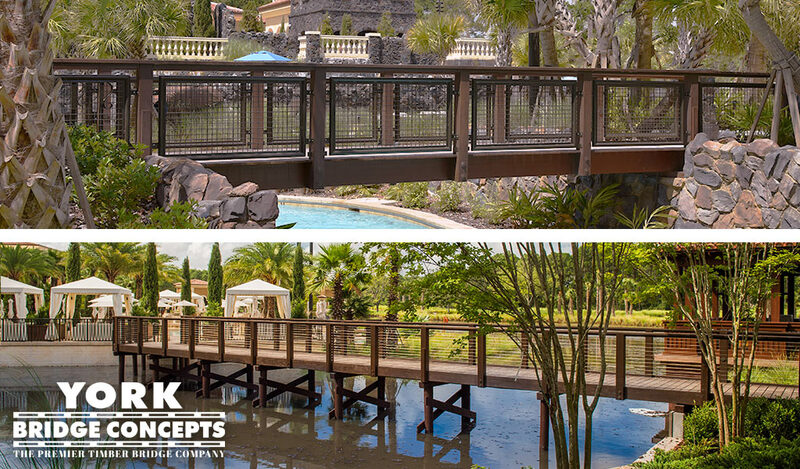 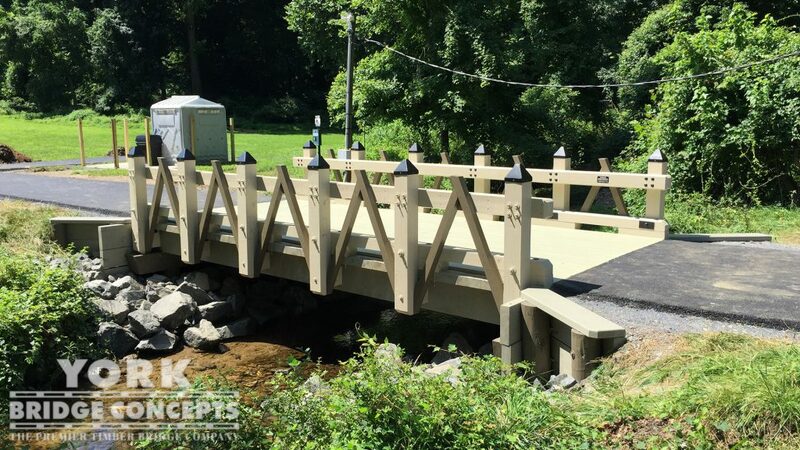 Stretching 11 feet into the air, this Decero™ designed cantilevered structure utilizes heavy timber to anchor into the boardwalk and provide a covered seating area overlooking the river. 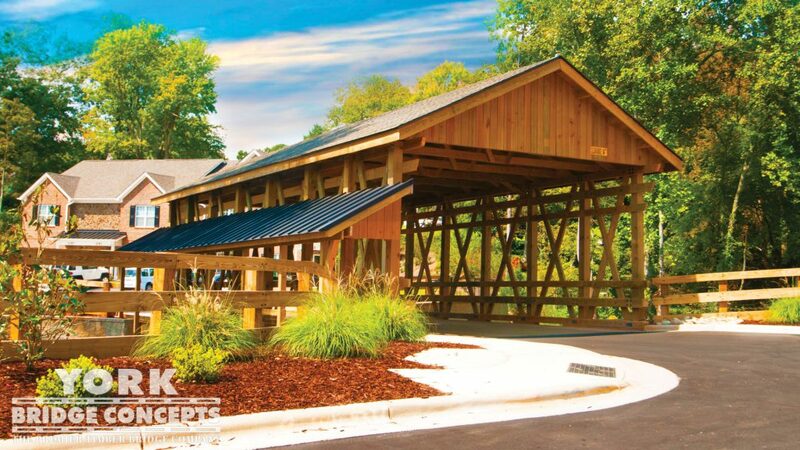 Bathed in an earthy rich translucent oil the iconic bar structure with blackened steel details in the lighting and roof this bar is the picture of our unmatched high quality design, craftsmanship, and innovative solutions. 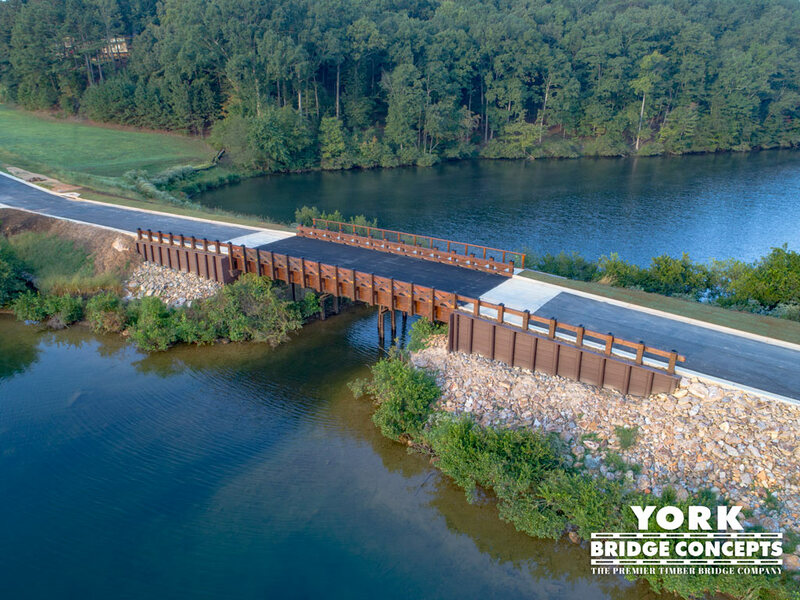 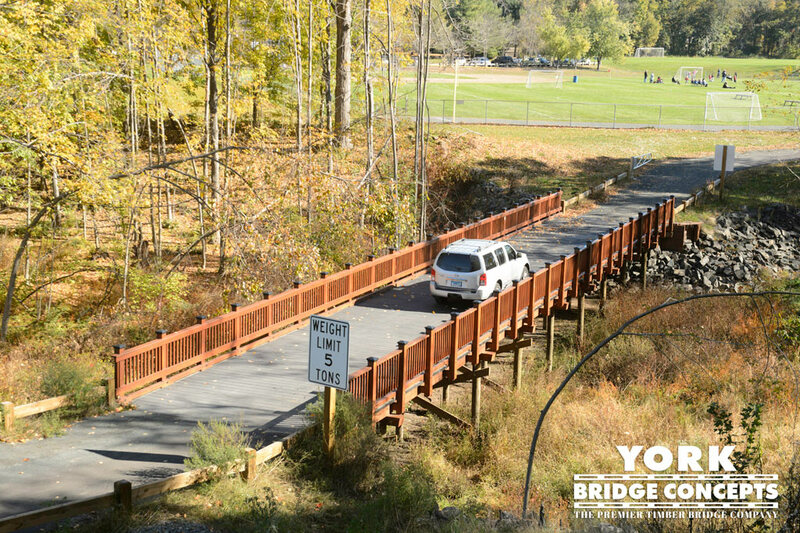 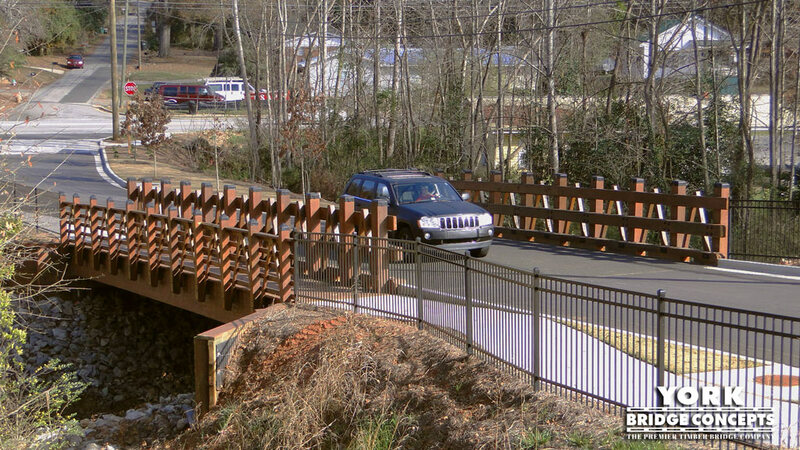 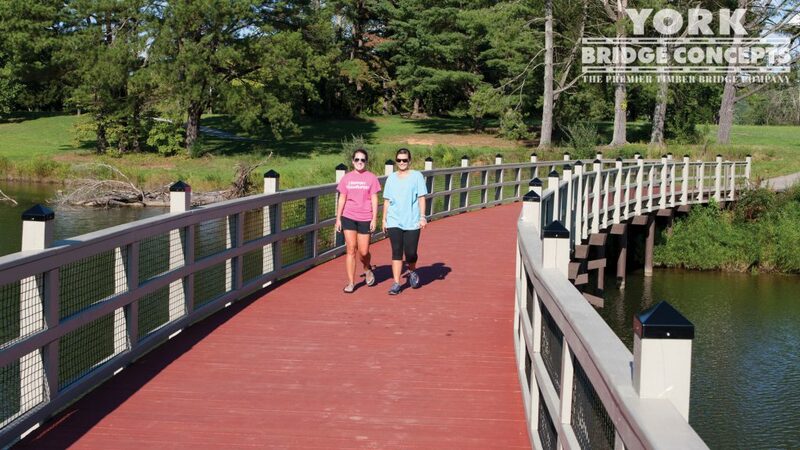 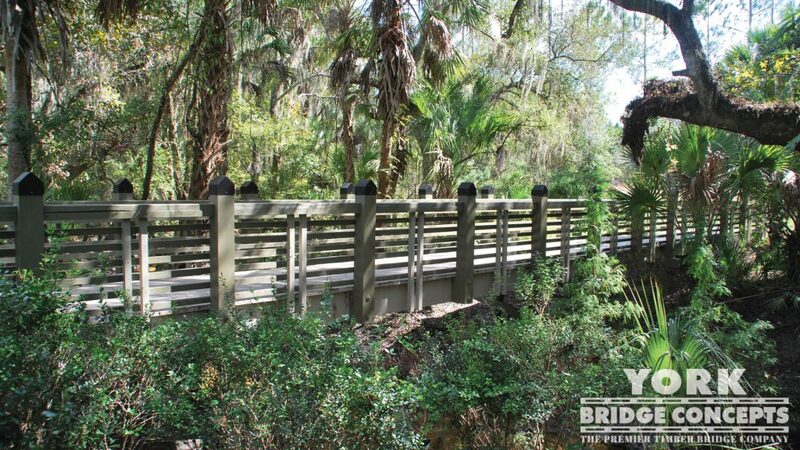 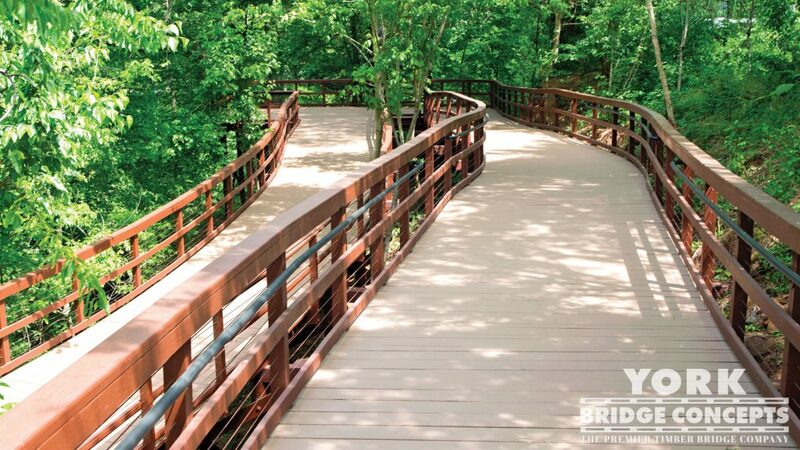 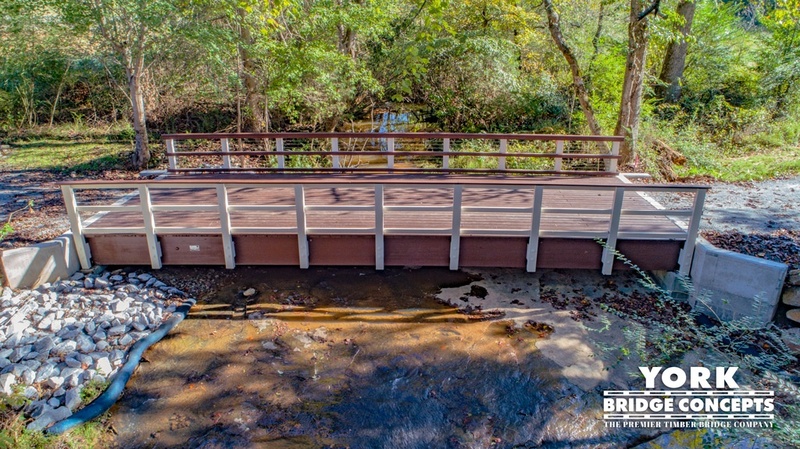 The 120’ pedestrian bridge features three 40’ spans crossing a winding waterway to connect walking paths. 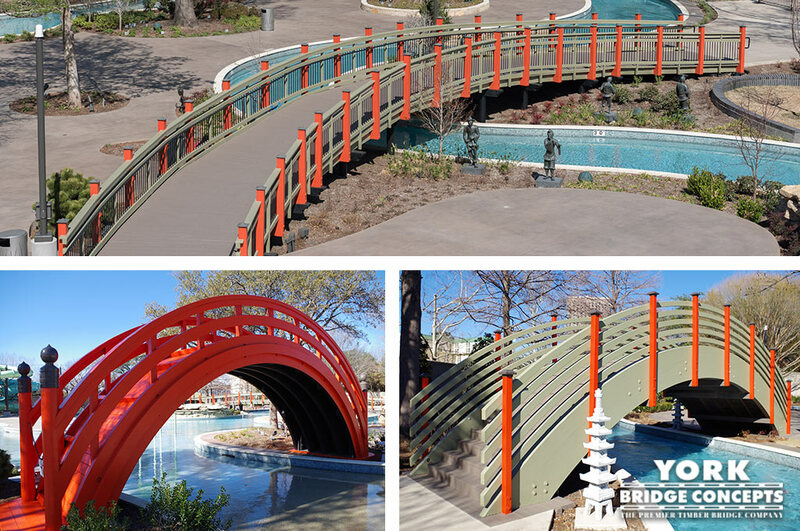 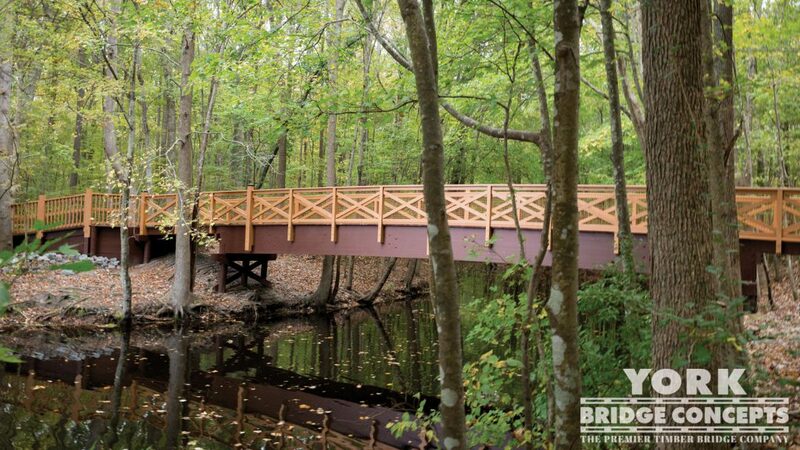 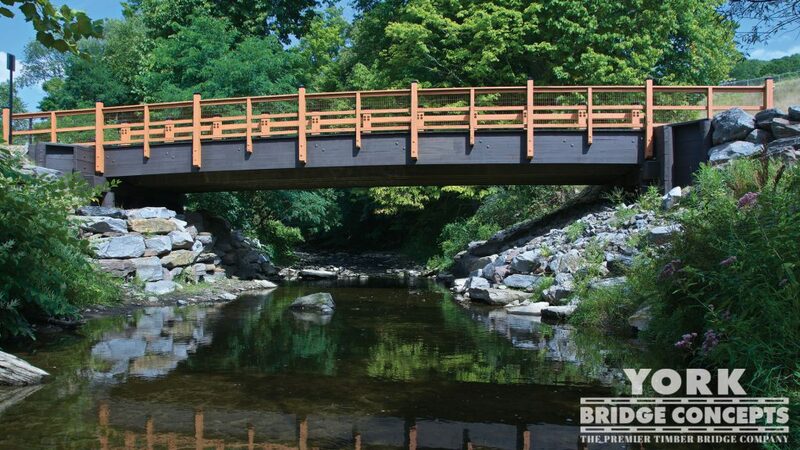 Three sets of glulam stringers join together creating a beautiful rolled arch over the water enhanced by a rhythmic combination of coated wire rope, x-accents, and custom post caps, washed in a dual-tone neutral color palette inspired by the community context.